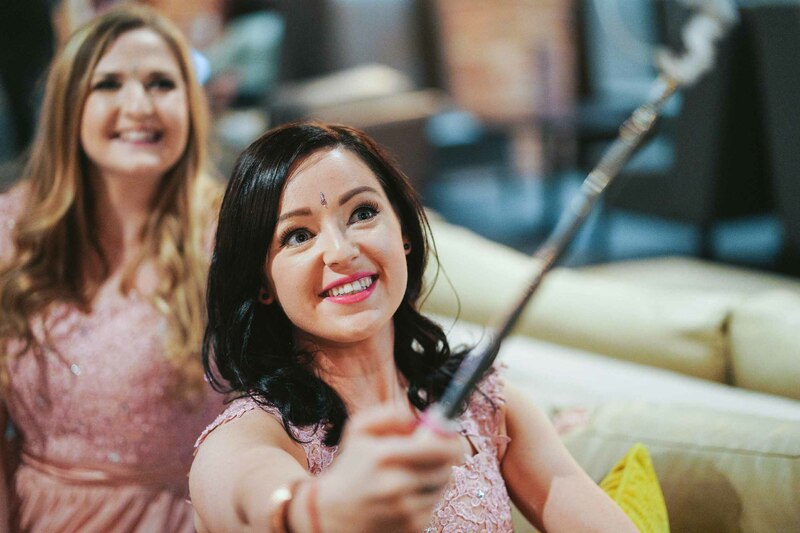 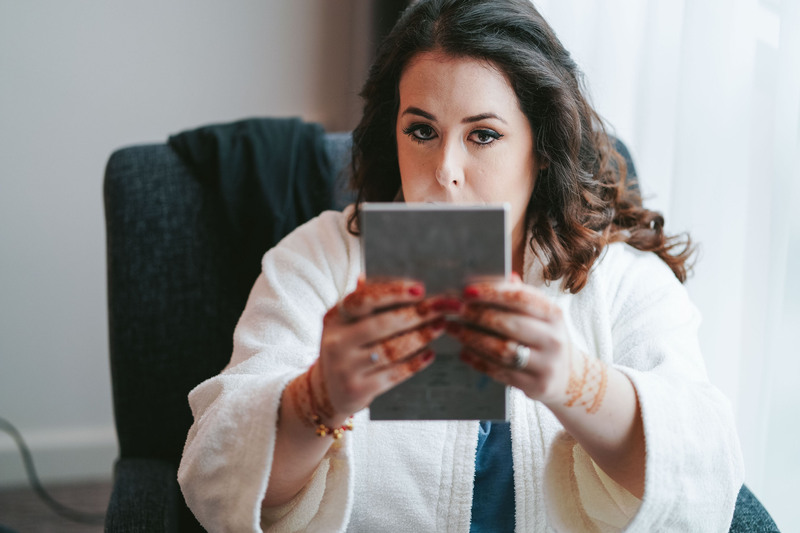 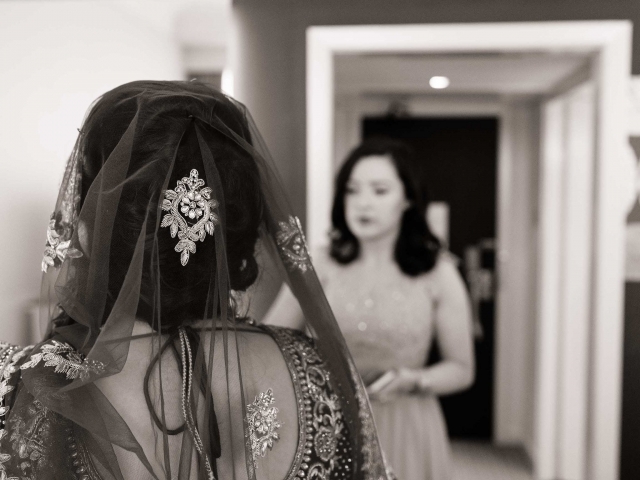 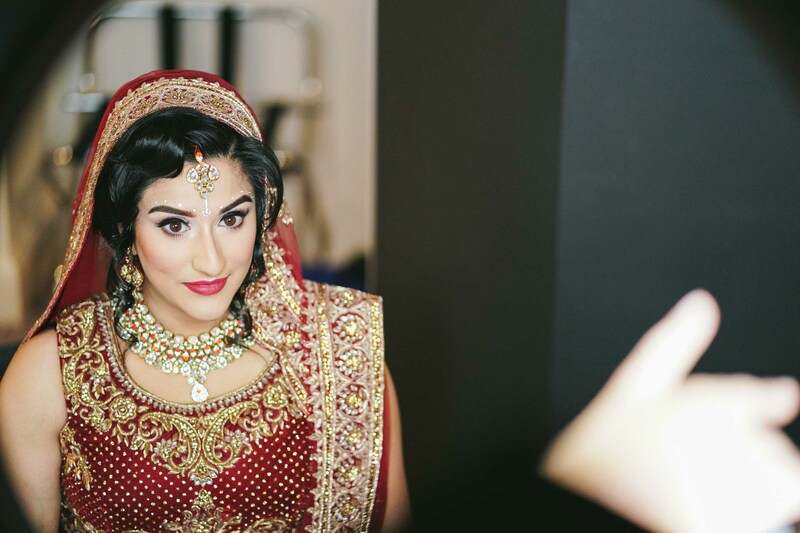 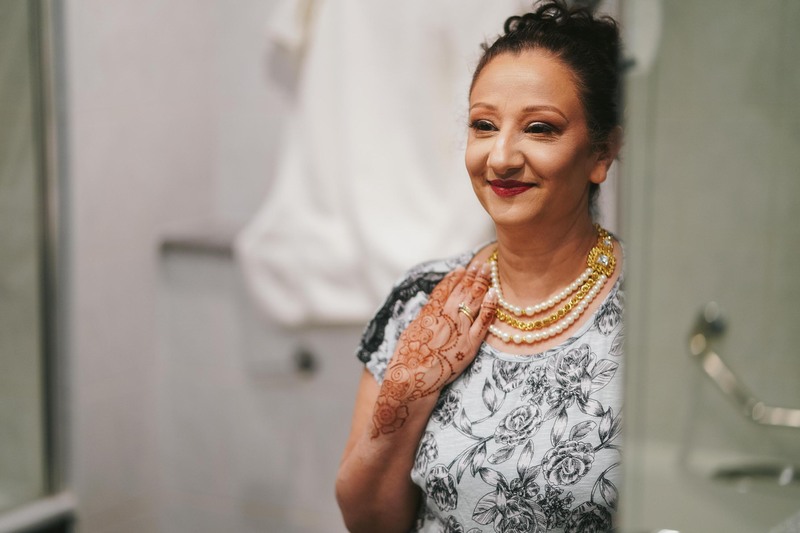 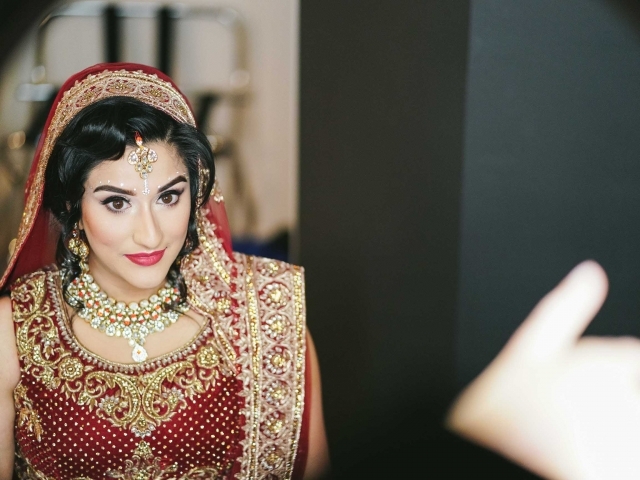 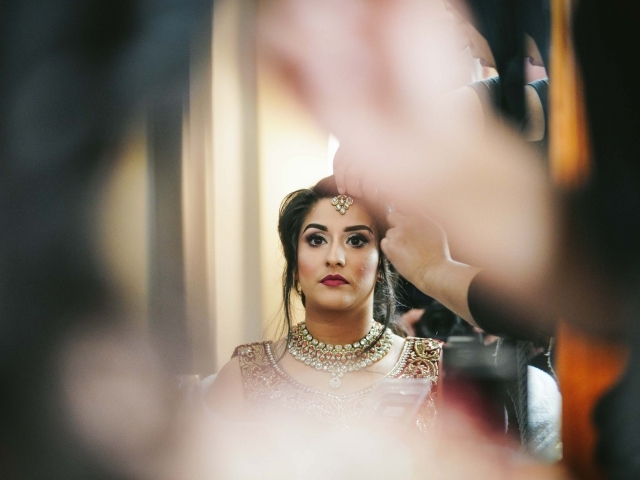 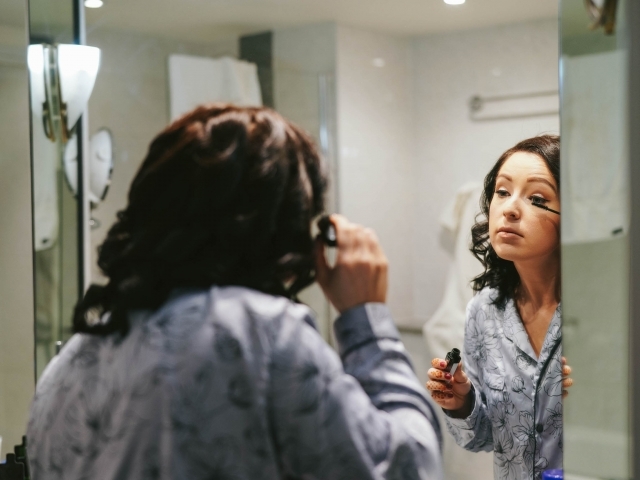 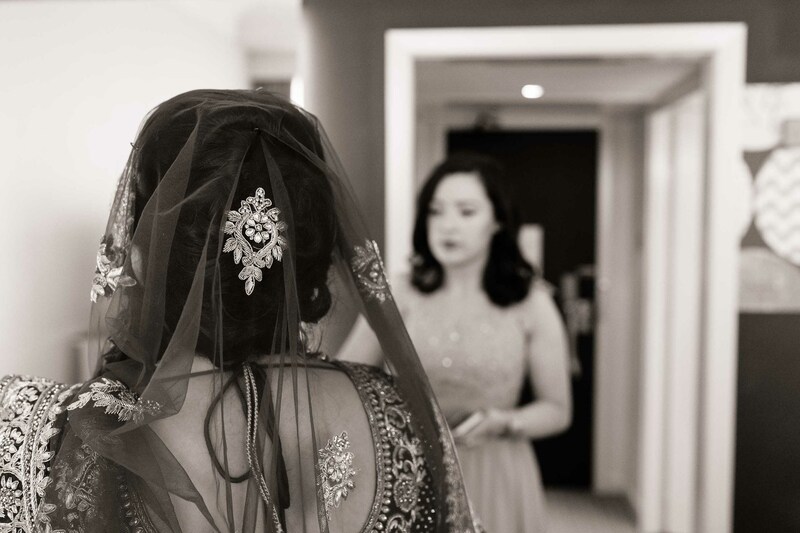 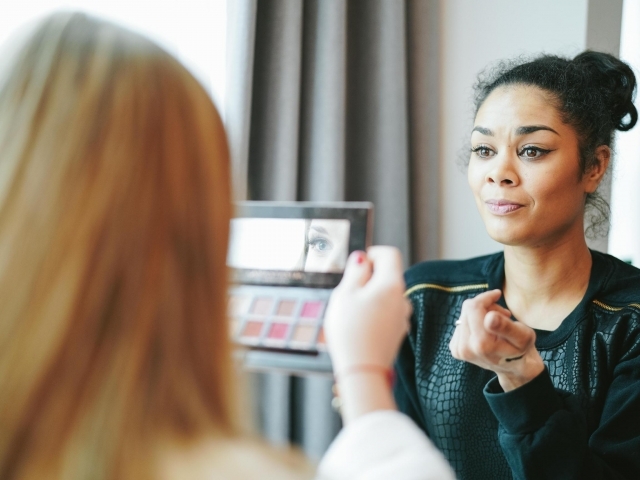 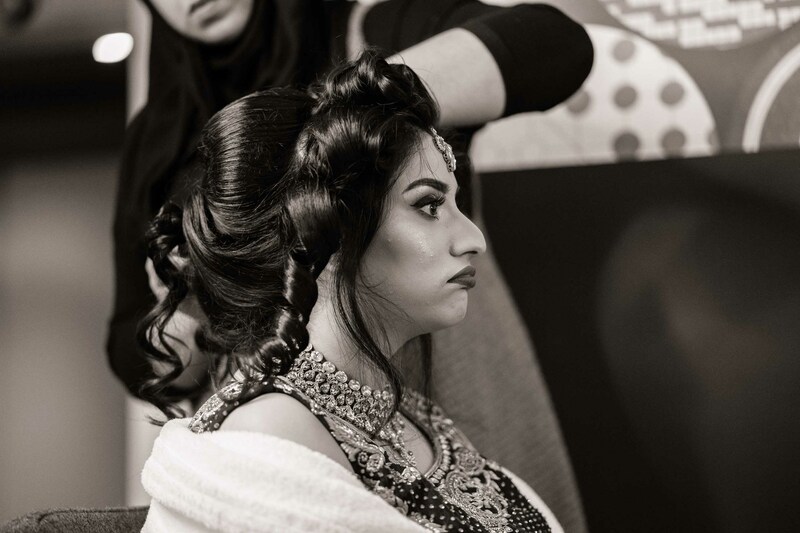 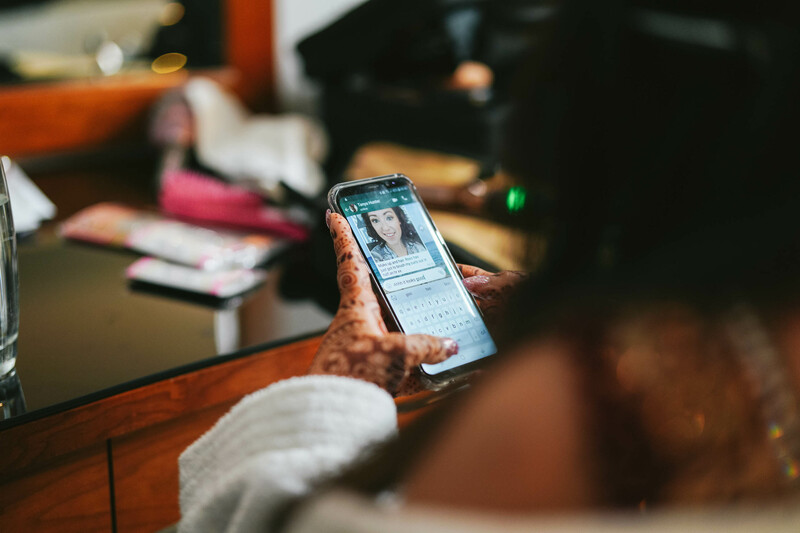 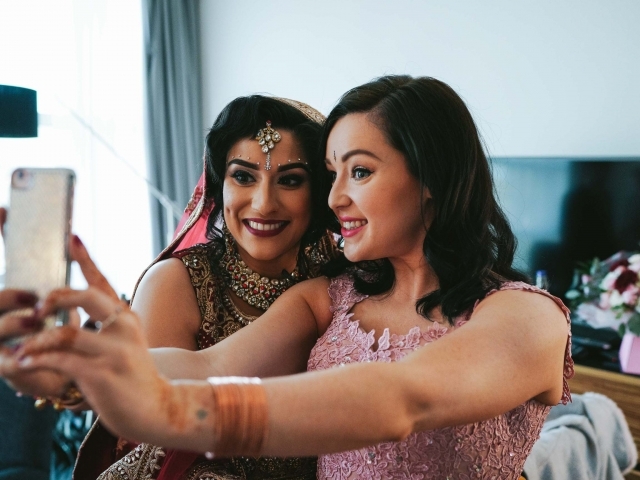 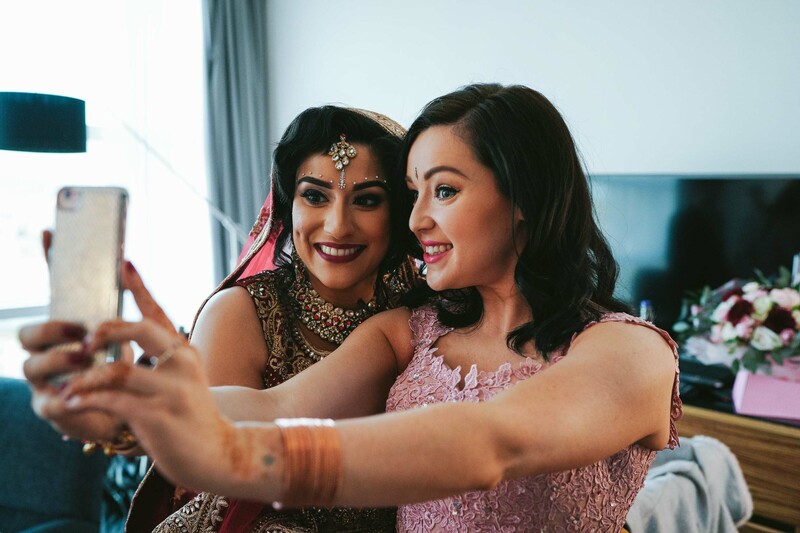 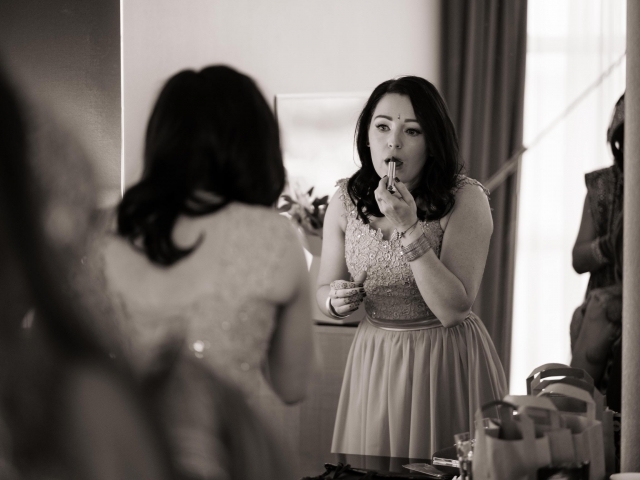 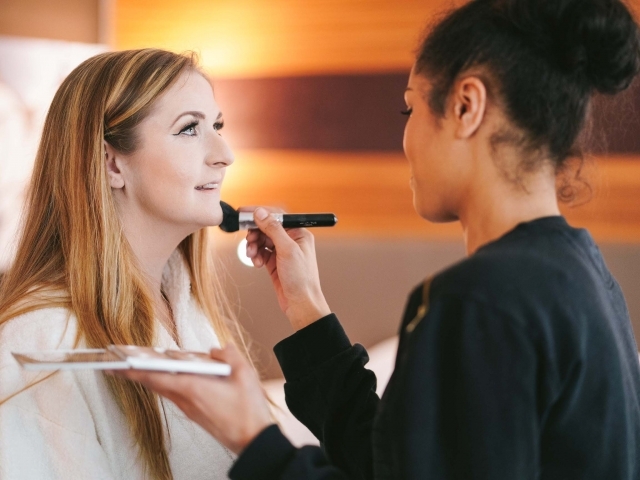 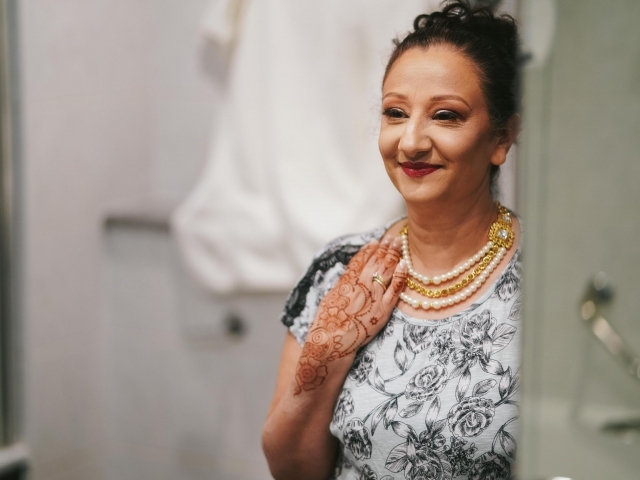 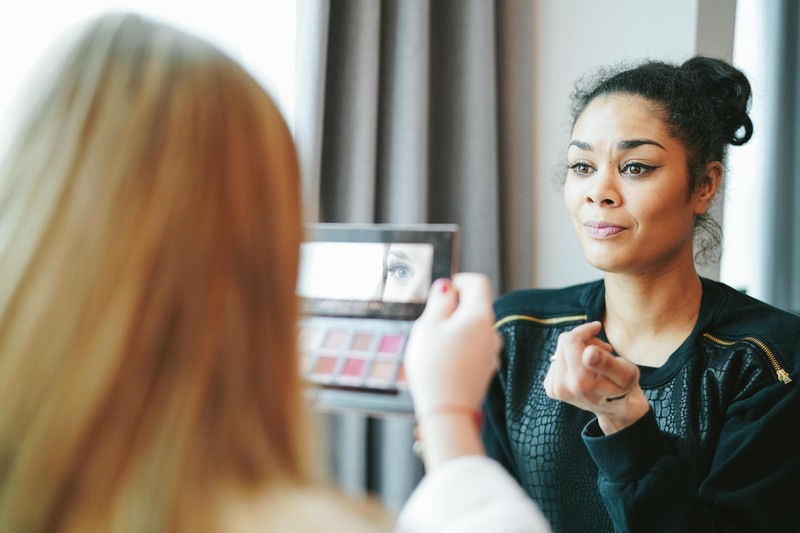 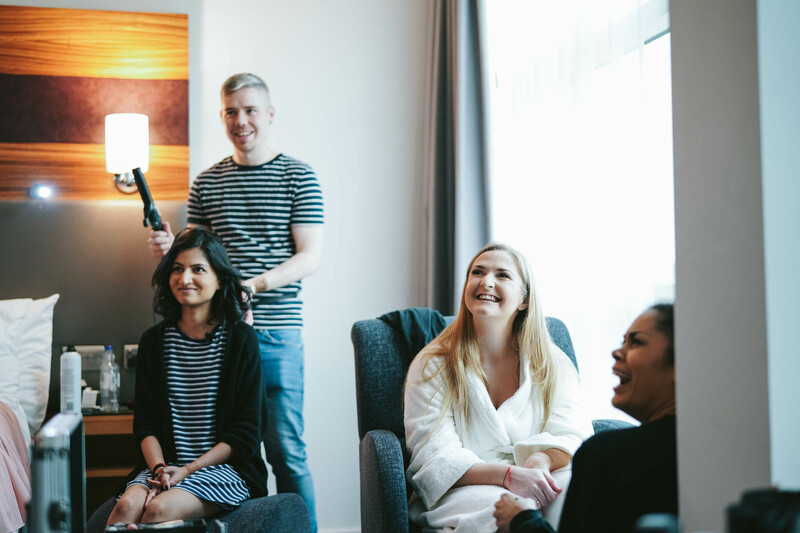 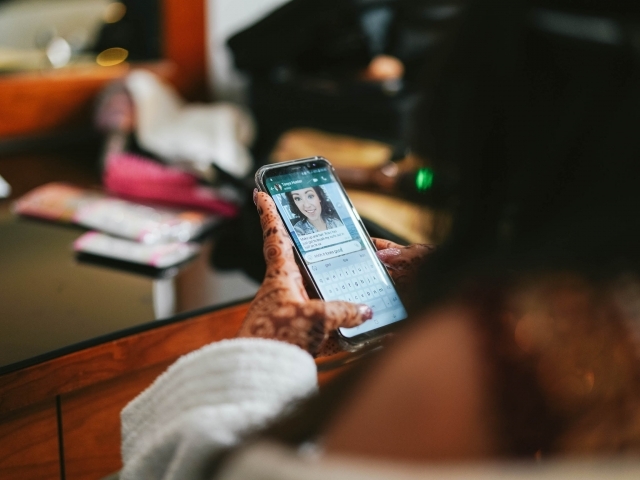 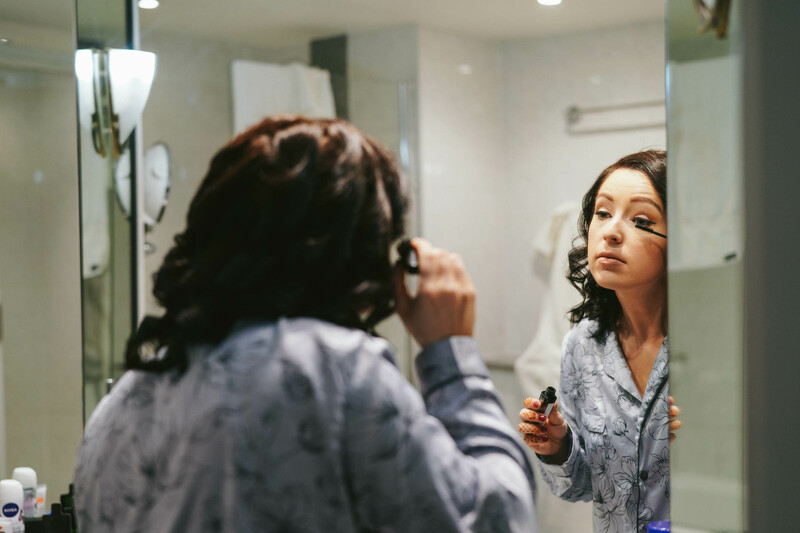 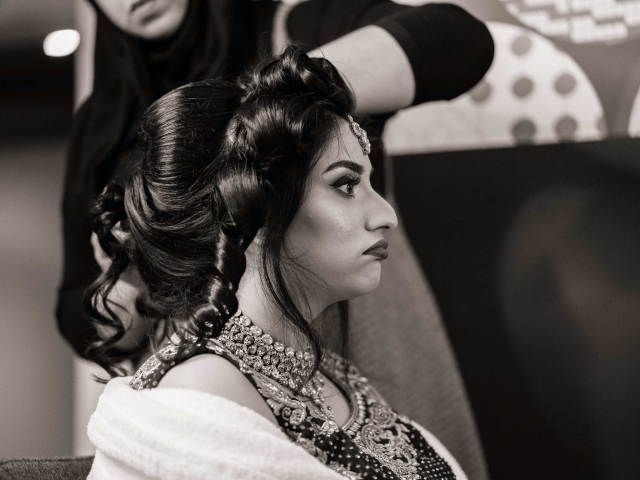 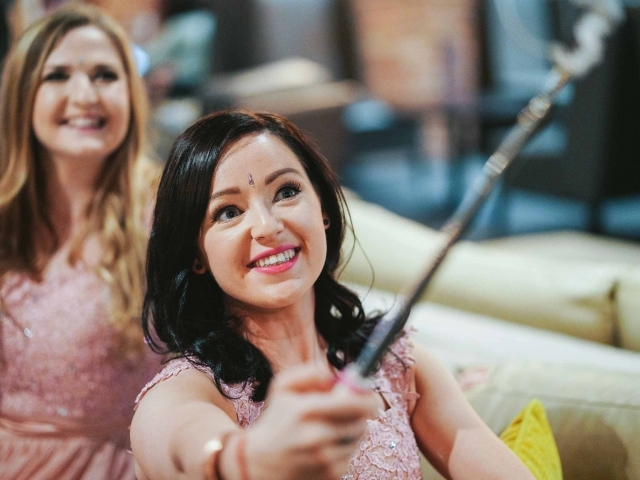 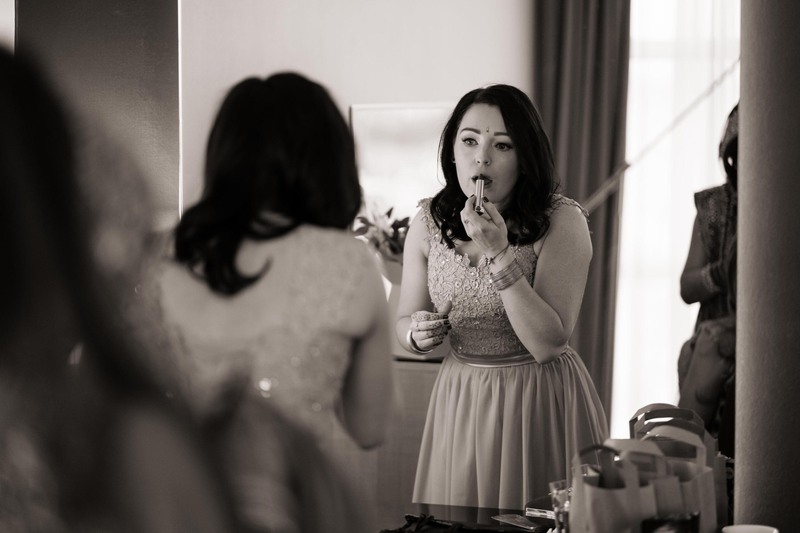 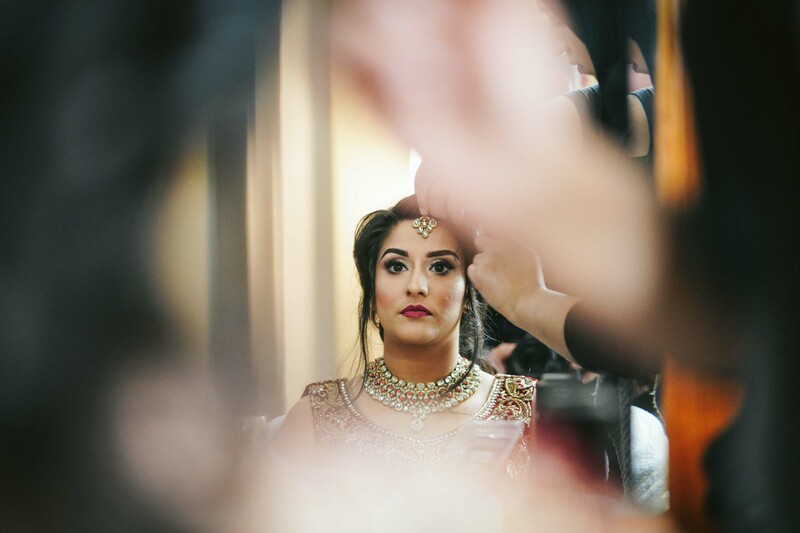 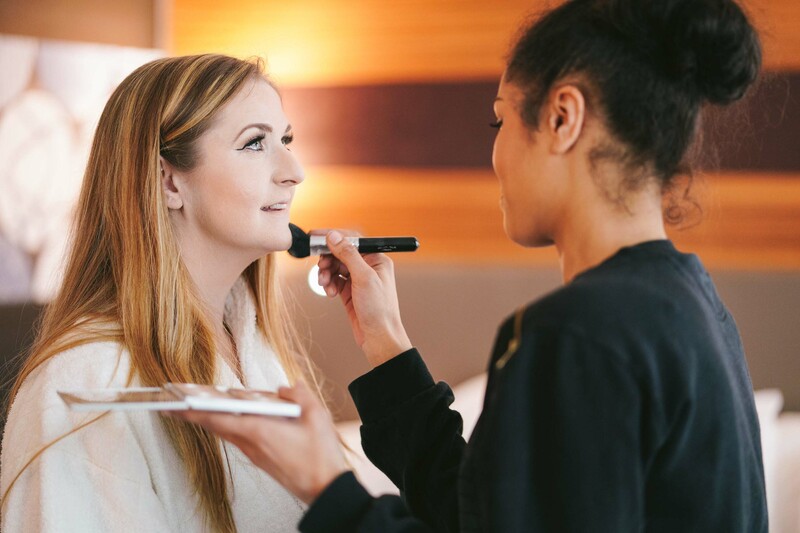 The day started with me capturing the girls getting ready on the top floor – thankfully Kiran was getting ready in one room and the bridesmaids were only a few doors down the corridor, so nipping between Kiran and the bridal party was nice and easy! 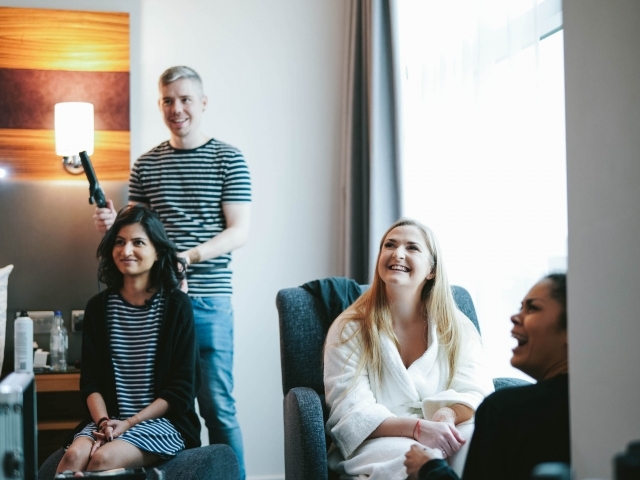 The ceremony was set for 11 am, so it was an early start for everyone especially the makeup girls – who were in full swing by the time I rocked up. 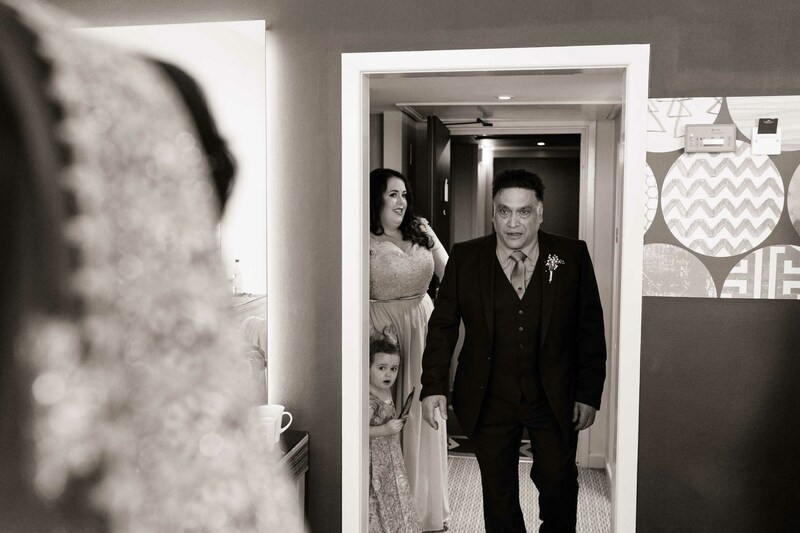 By the time the girls were all done and about to head downstairs, the ceremony room was filling up with family and friends. 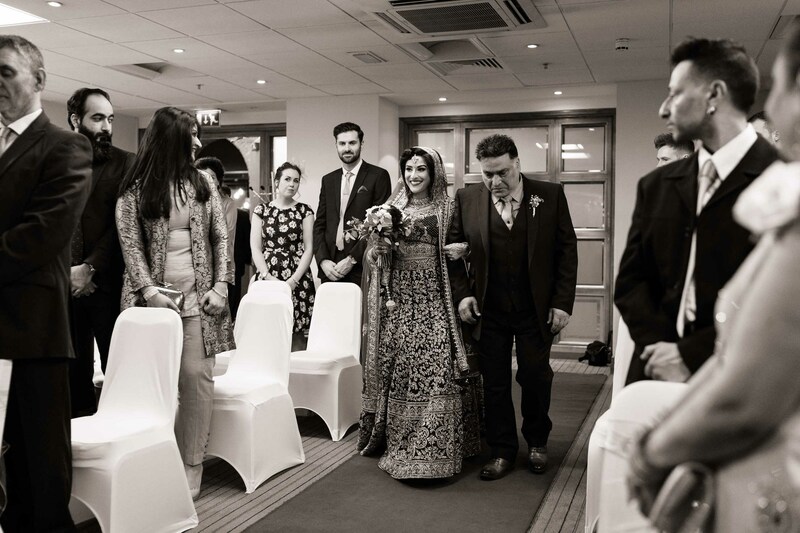 I spotted James at the front and gave him a little nod to say that everything is all good! 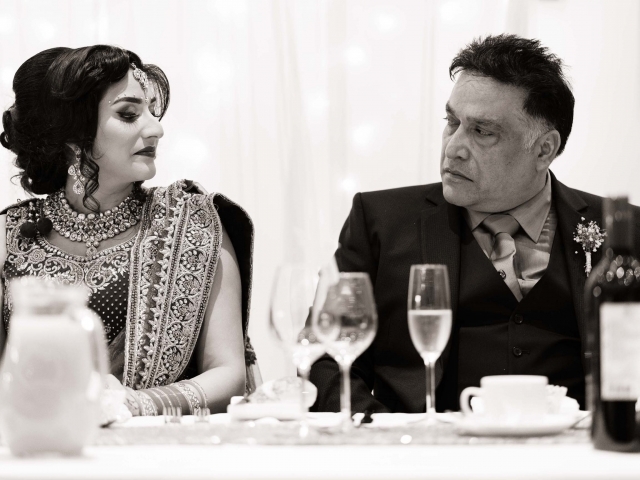 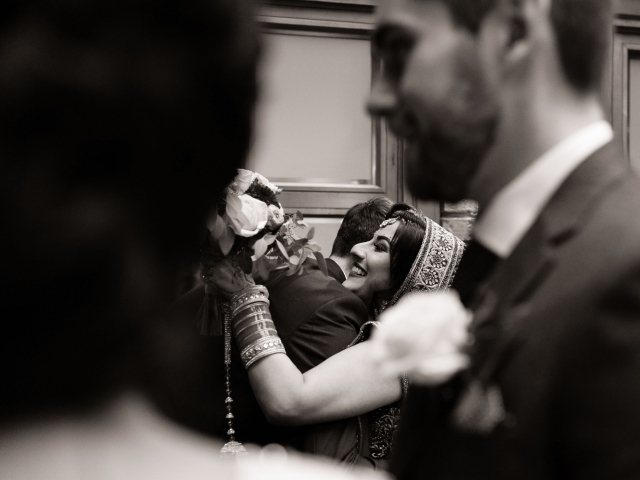 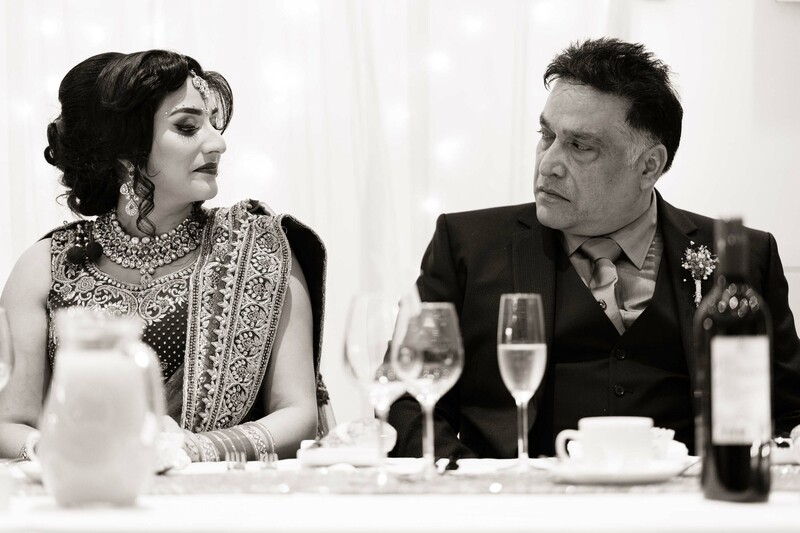 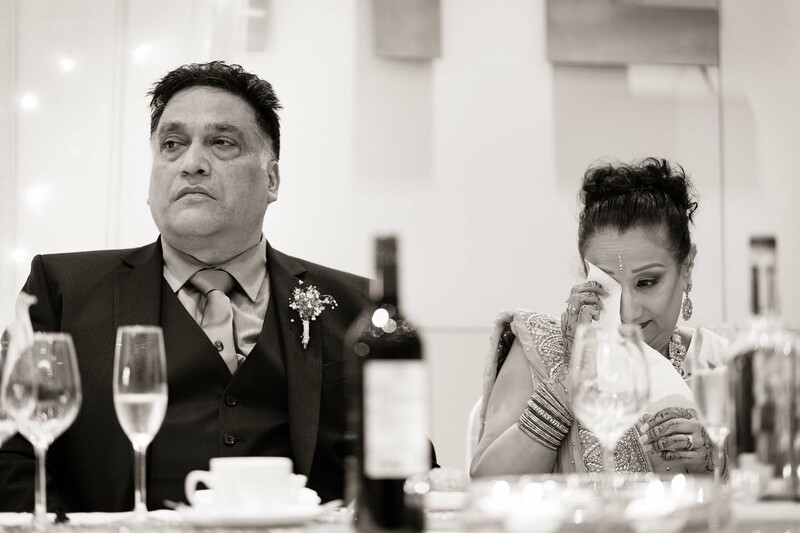 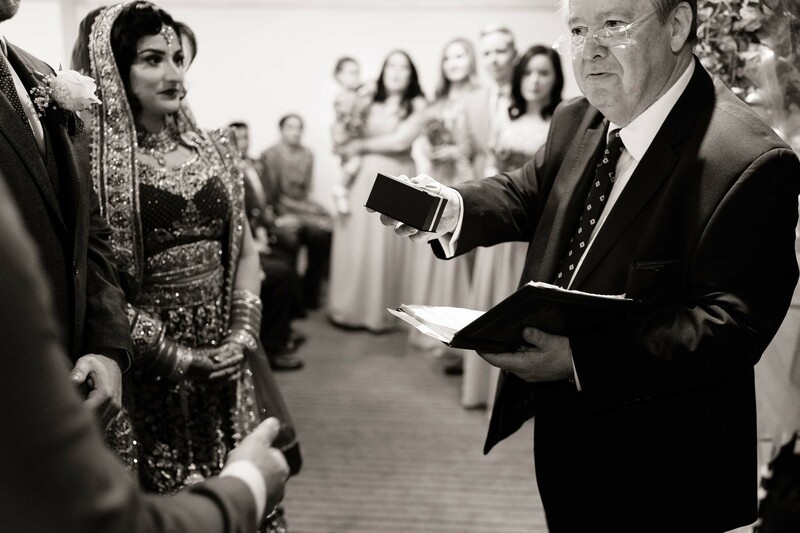 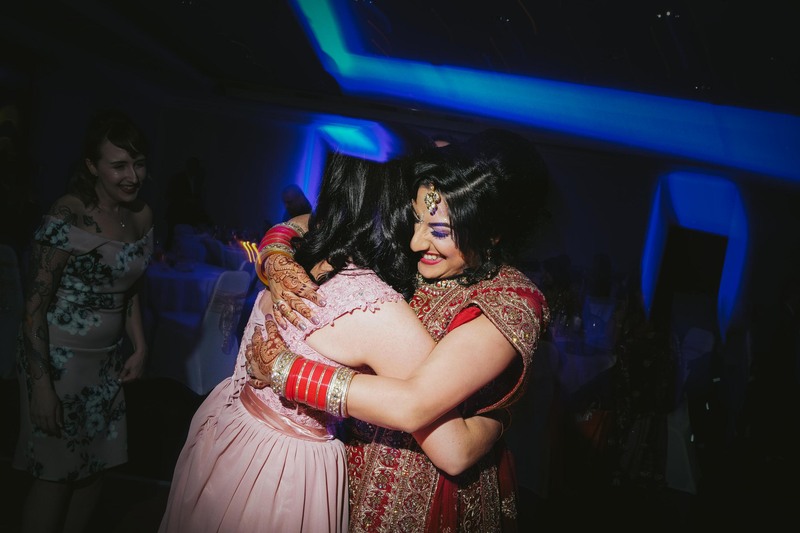 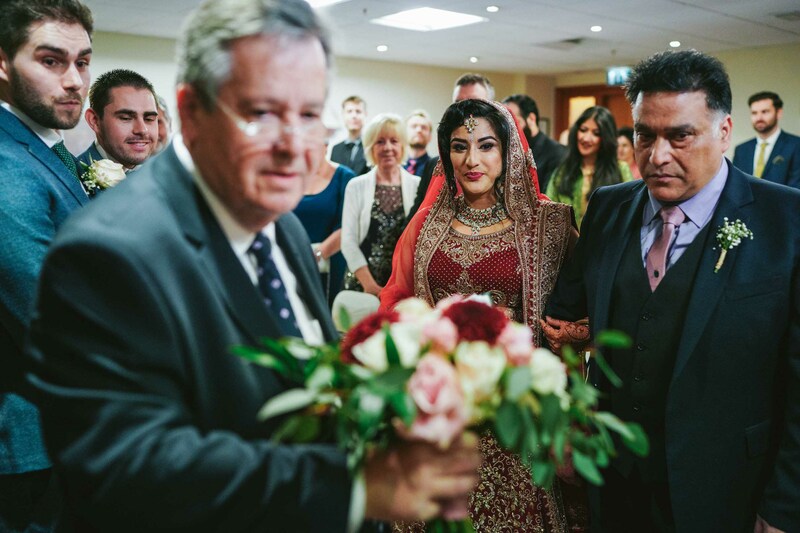 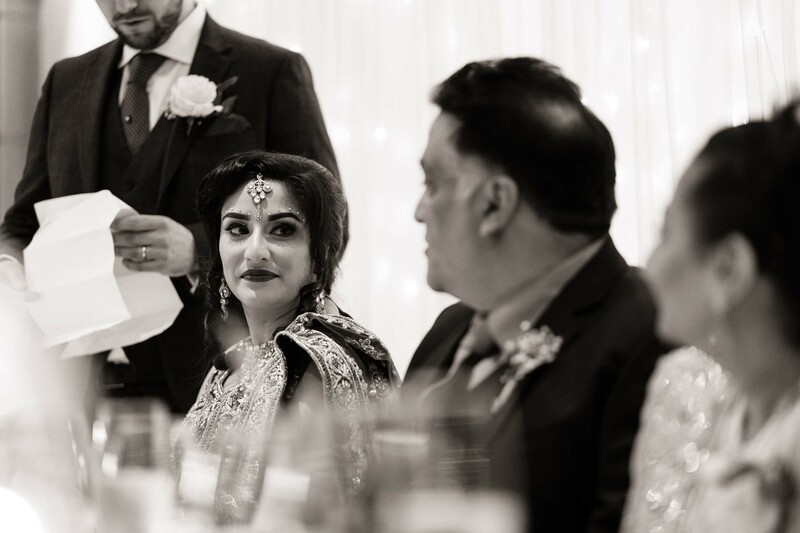 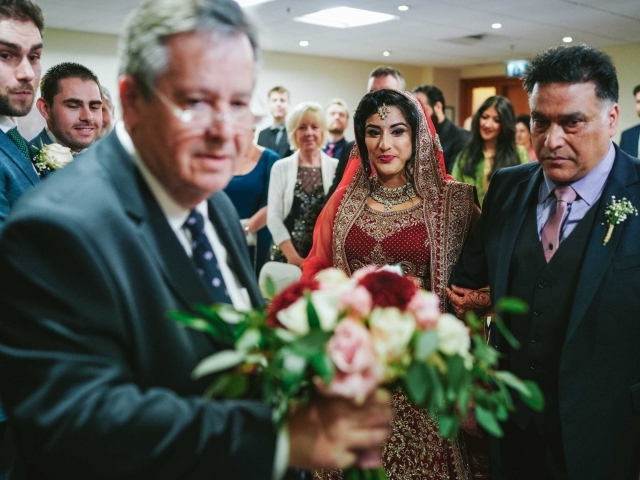 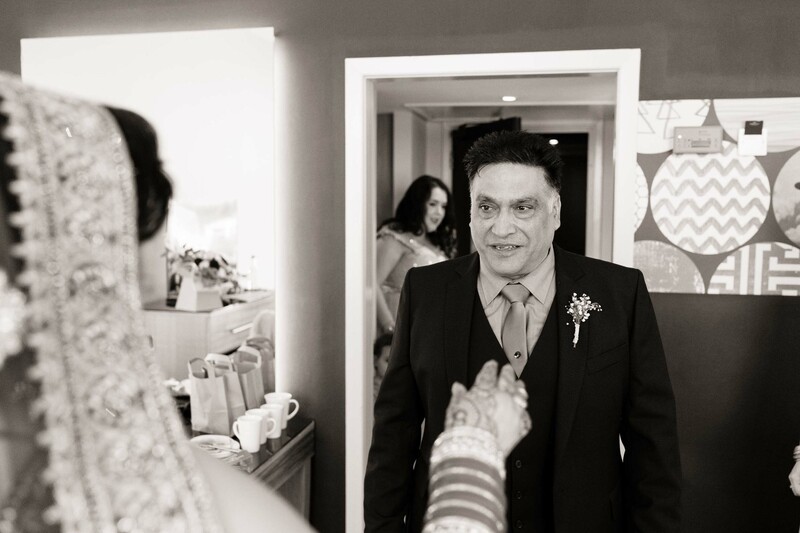 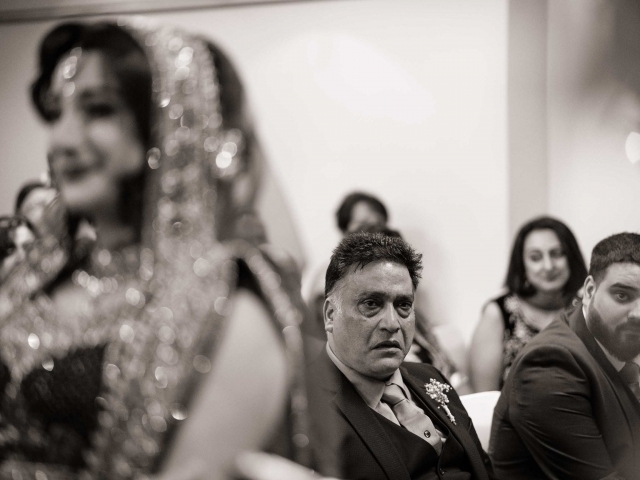 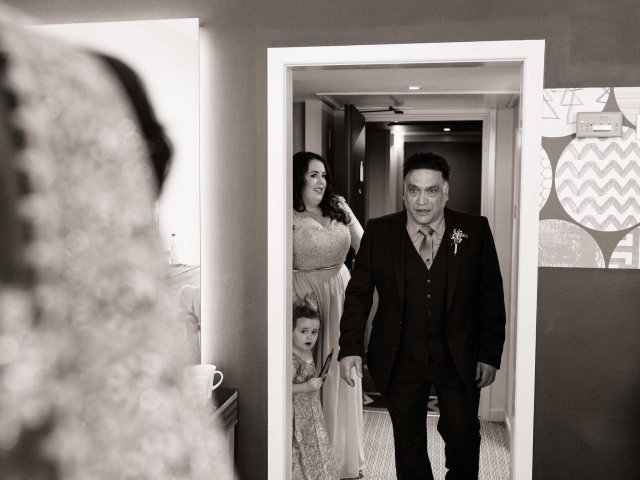 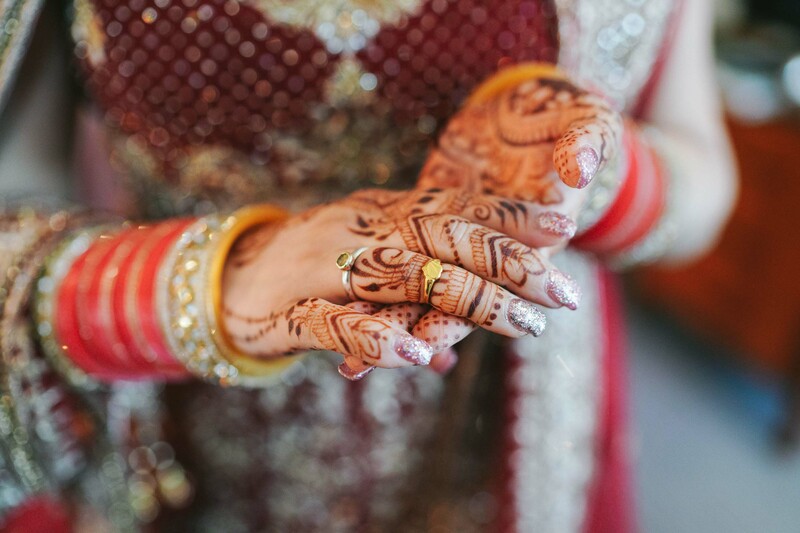 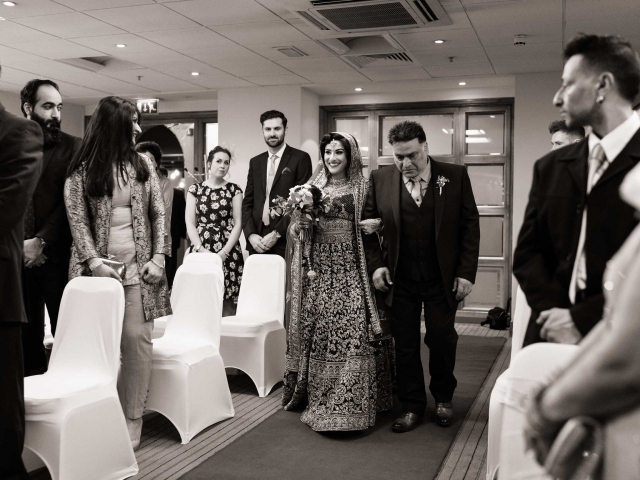 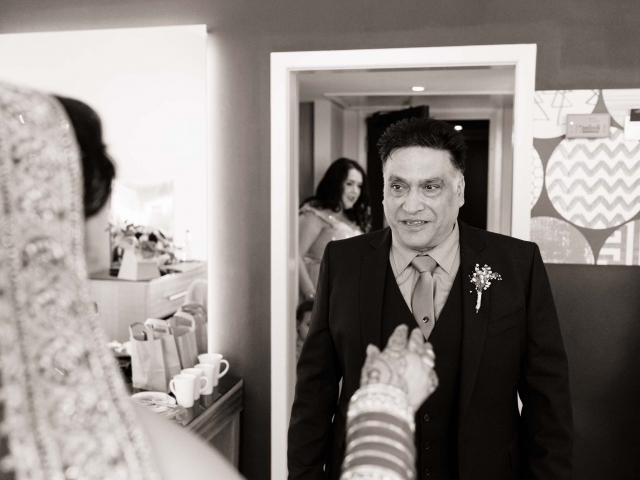 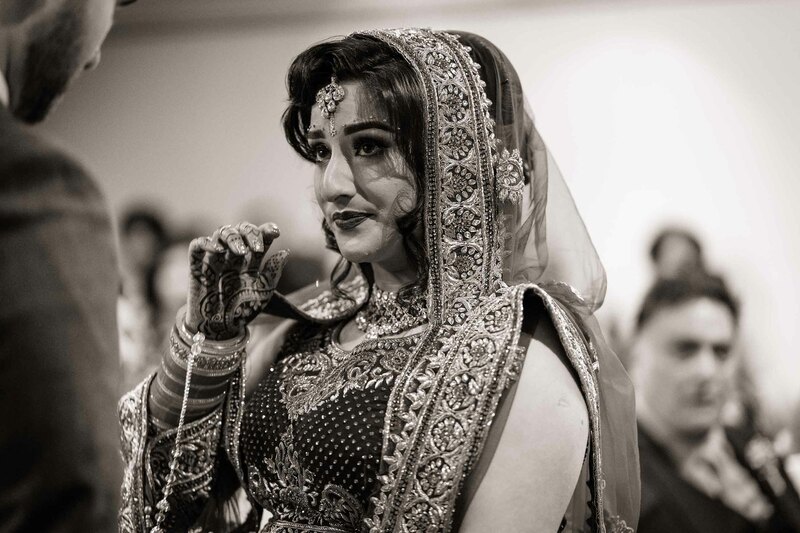 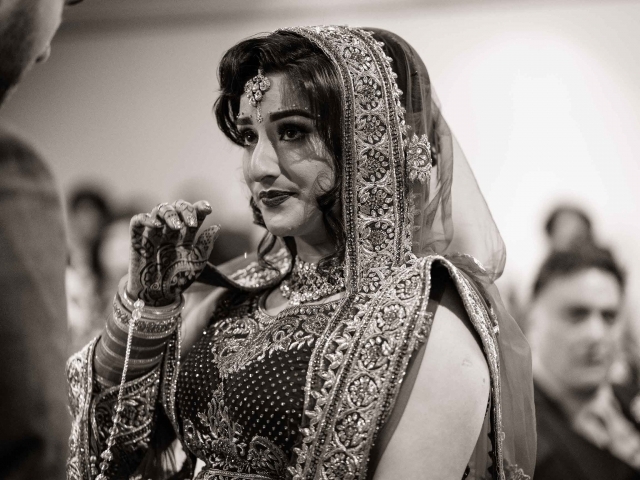 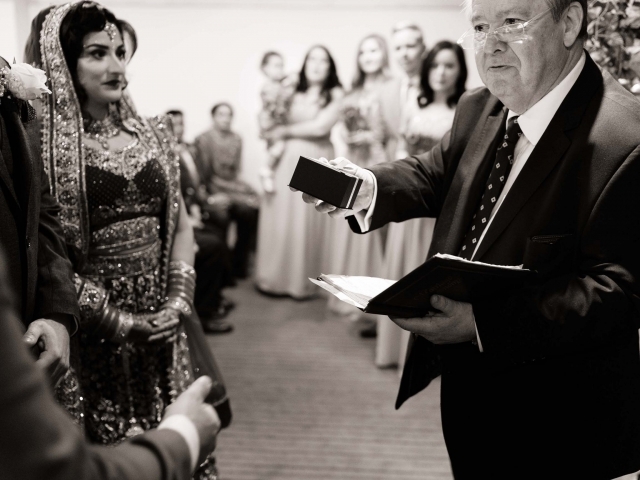 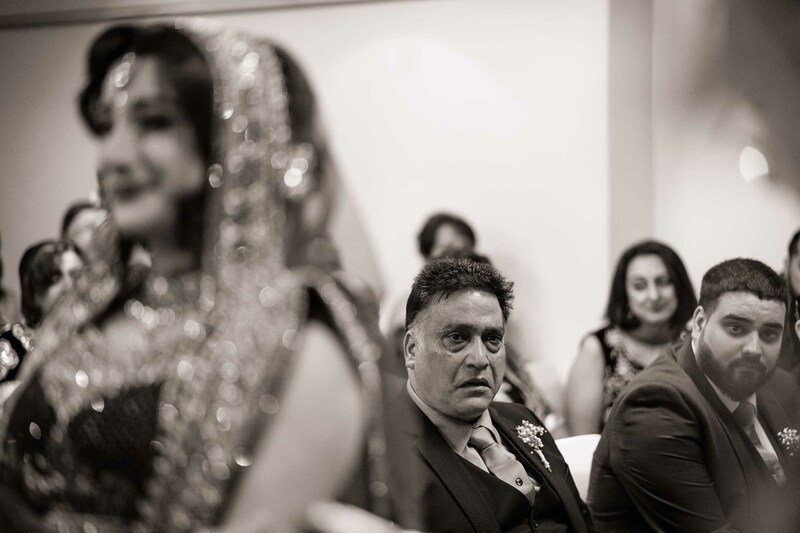 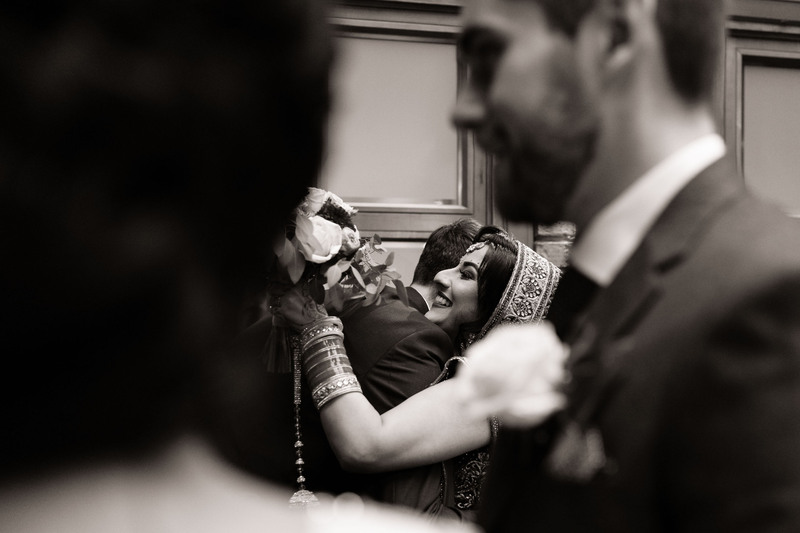 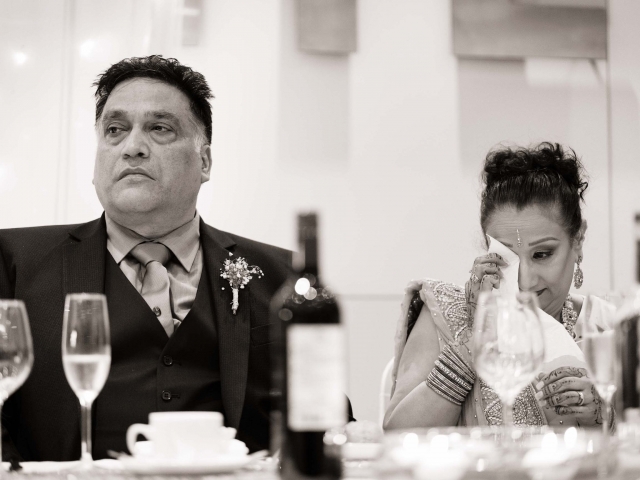 By the time Kiran had arrived at the ceremony room, her Dad had shed a few tears and it was no surprise that walking down the aisle with his Daughter – he let a few more tears out – I kept a close eye on Kiran’s Dad throughout the ceremony and managed to grab some wonderfully emotional images. 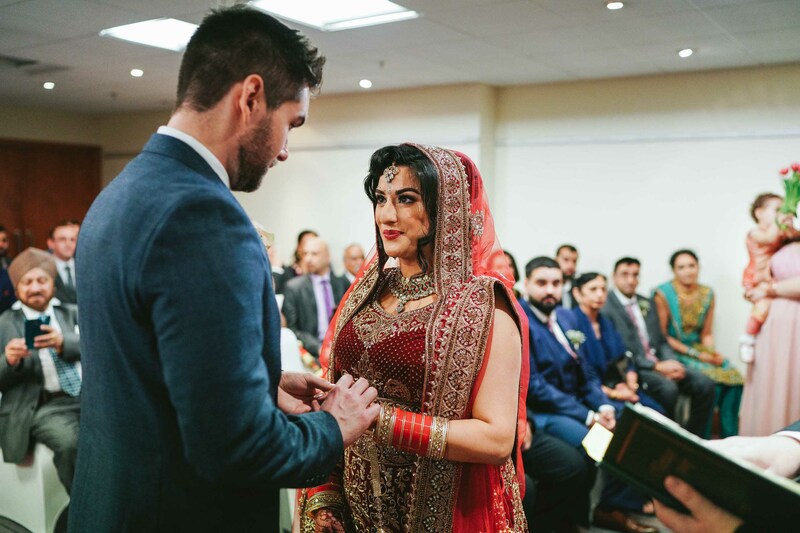 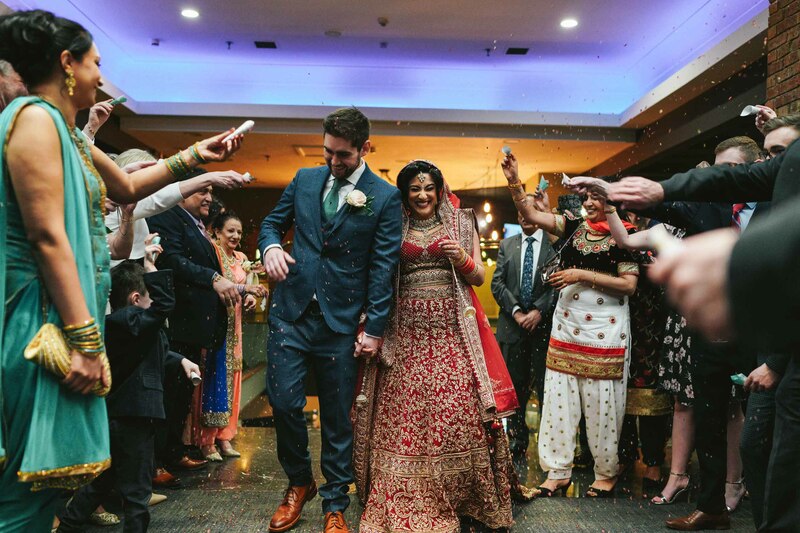 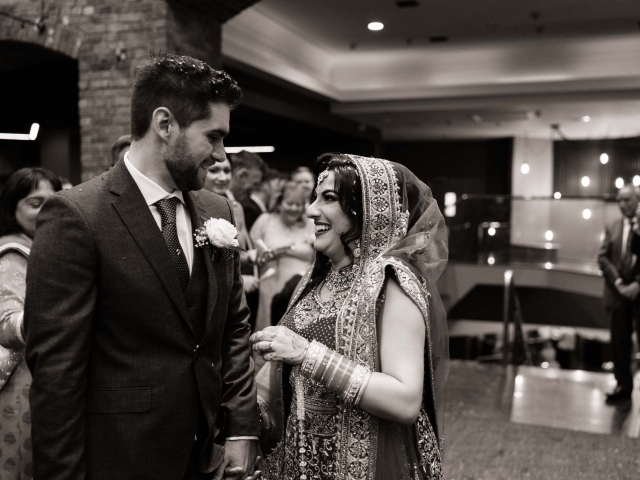 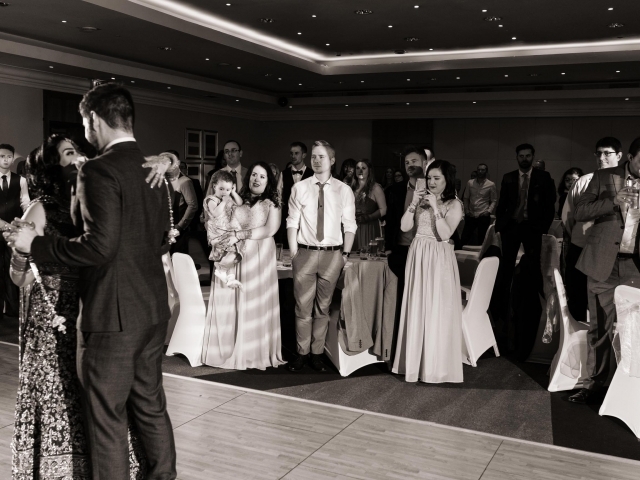 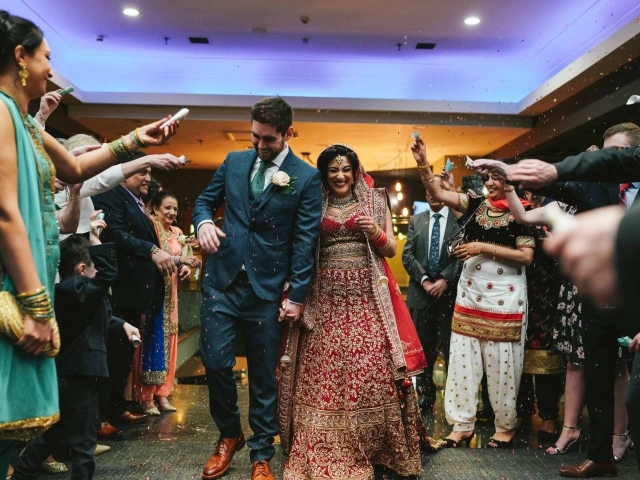 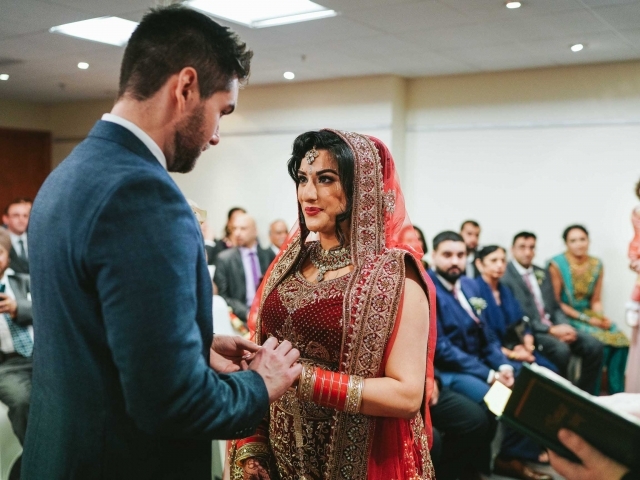 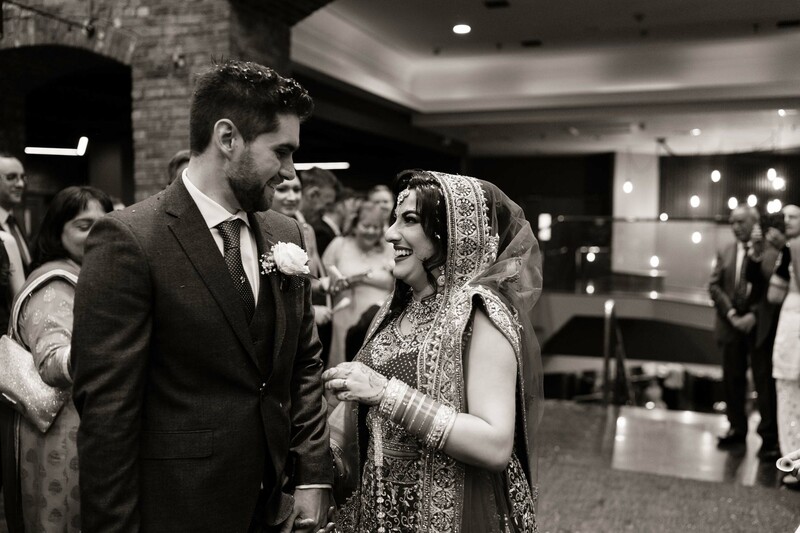 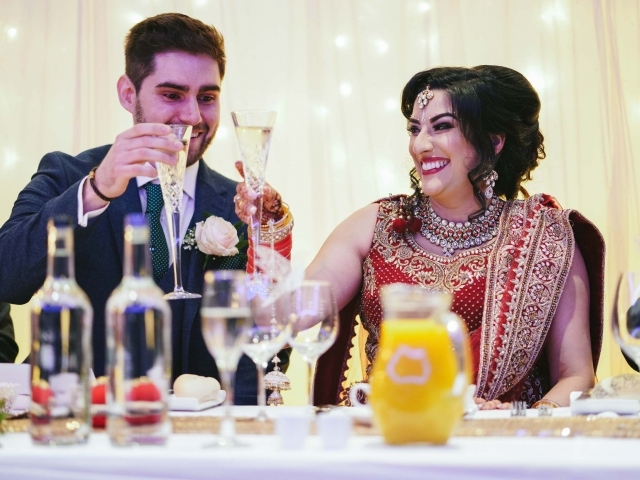 The ceremony was a quick one – and before we knew it Kiran and James were married and it was time to head to the bar for some celebratory drinks! 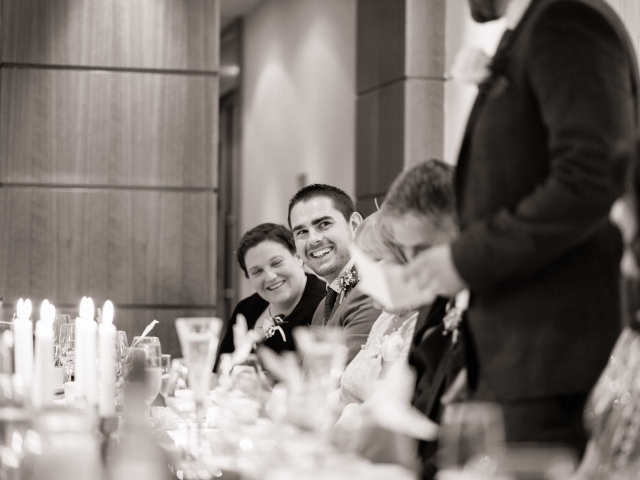 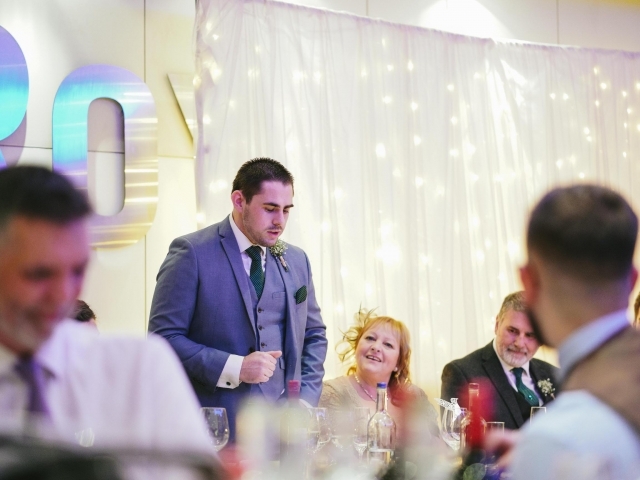 Next on the schedule was the wedding breakfast and the speeches – often the bit that the best man has been waiting for to unload funny and embarrassing stories about the groom – but all the stories were kept clean and James survived without any reference to naughty, embarrassing stories or naked baby pictures. 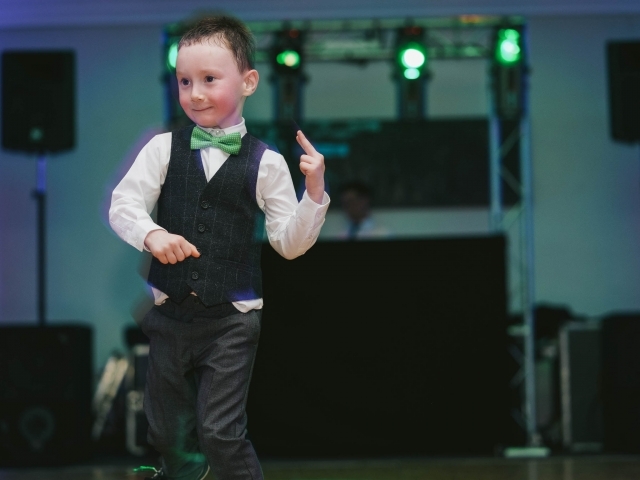 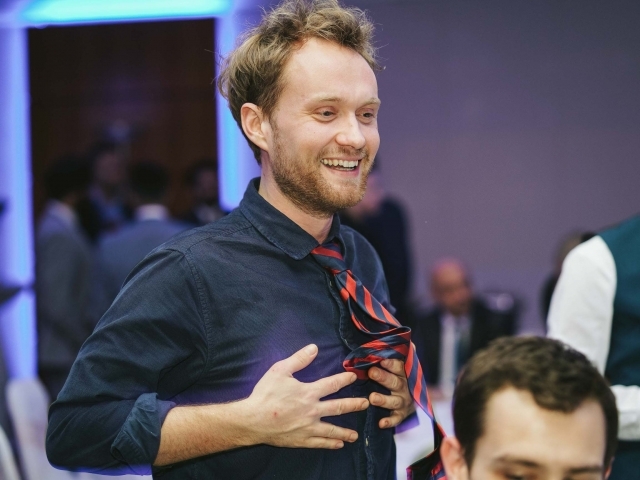 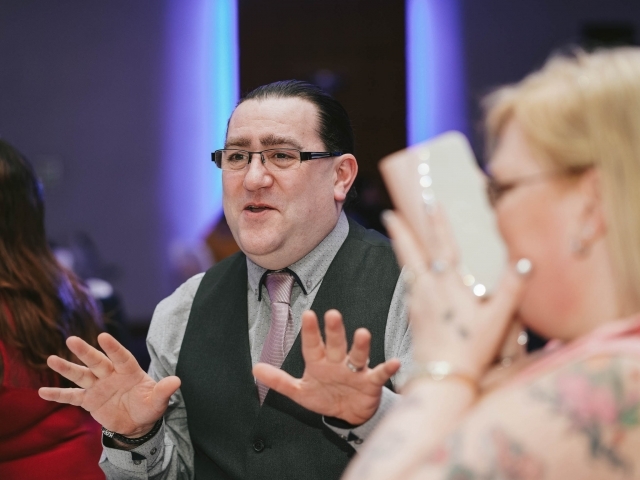 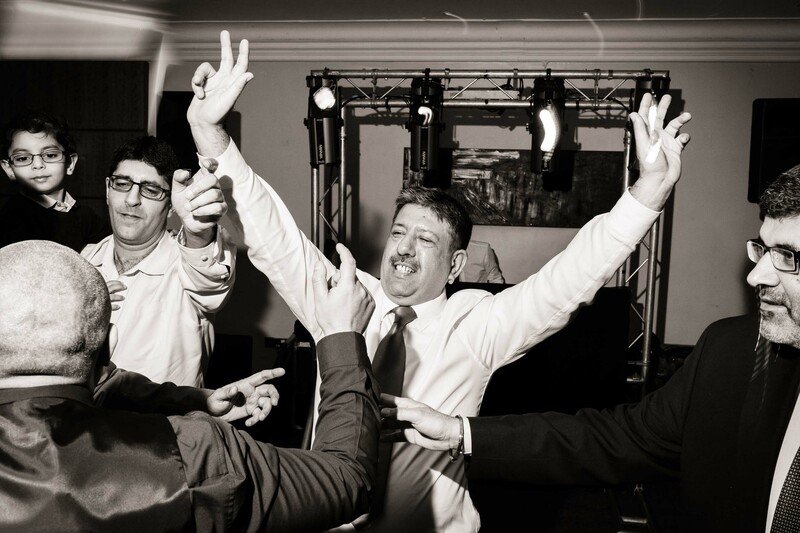 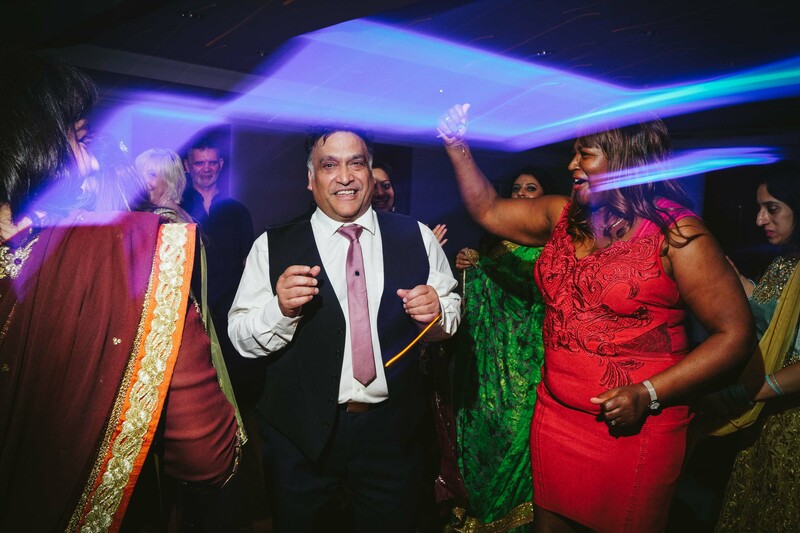 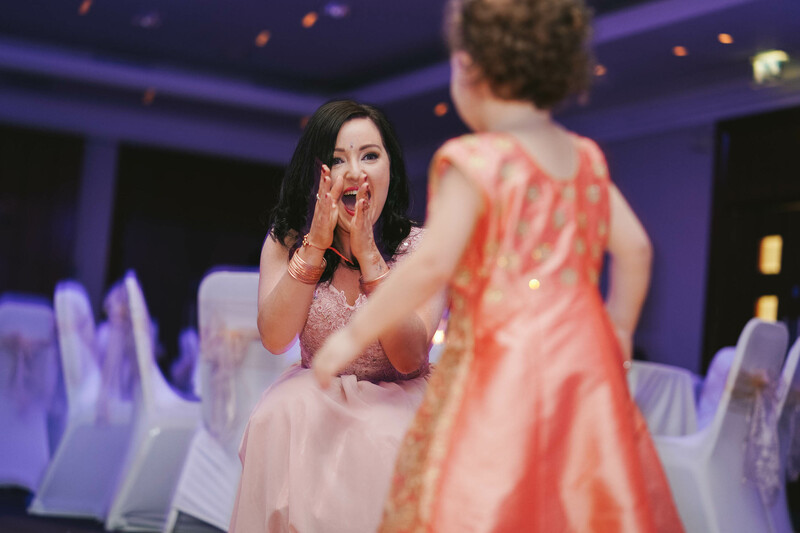 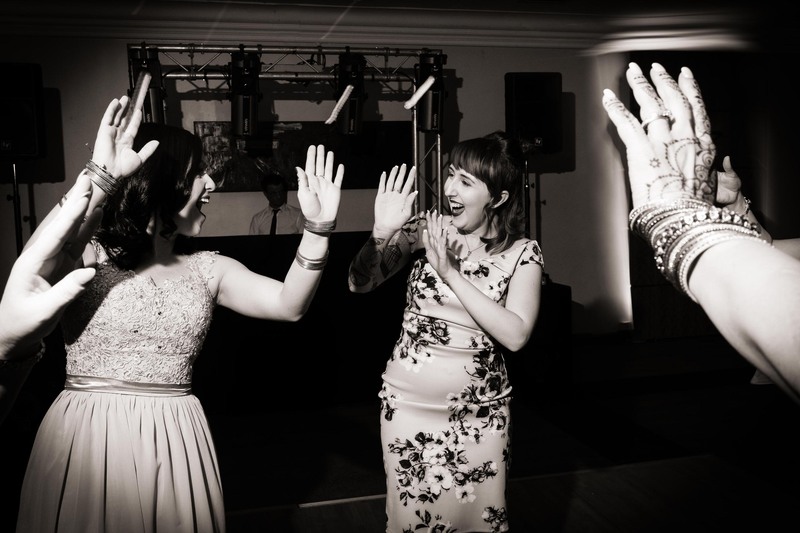 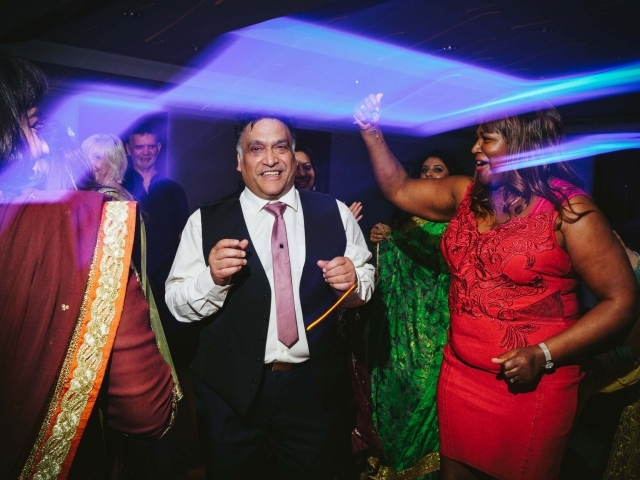 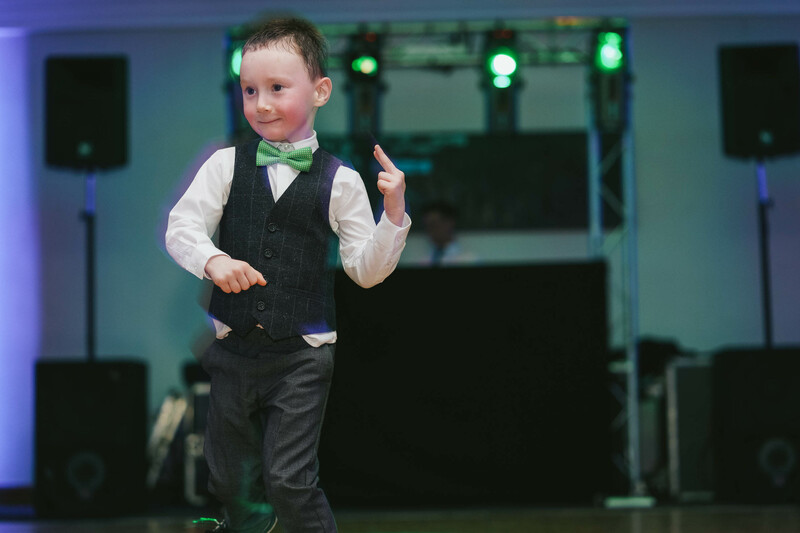 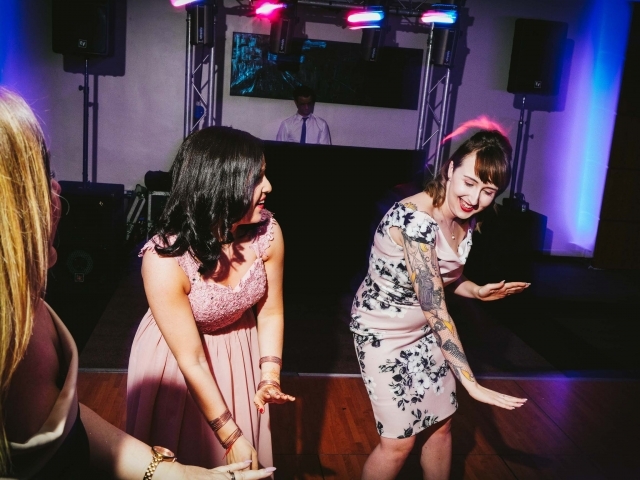 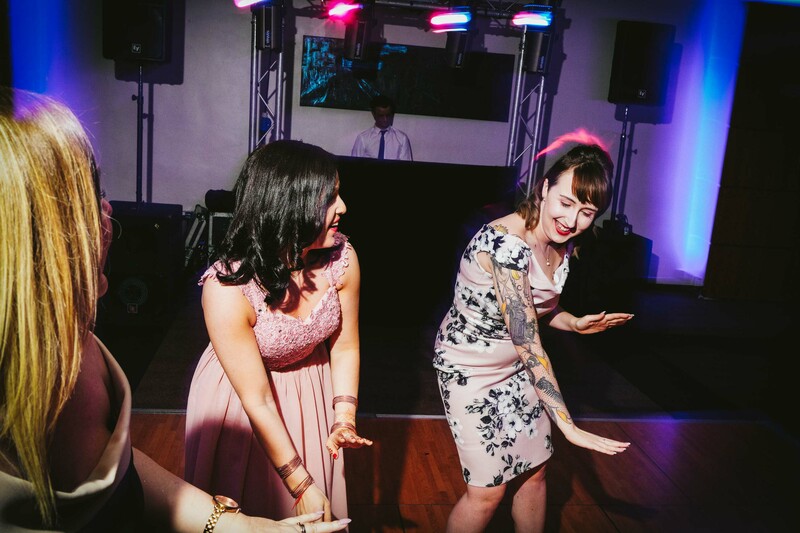 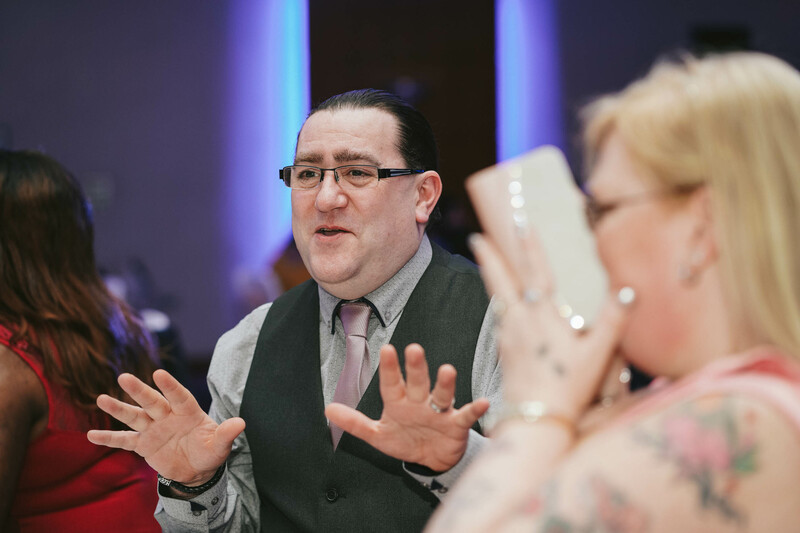 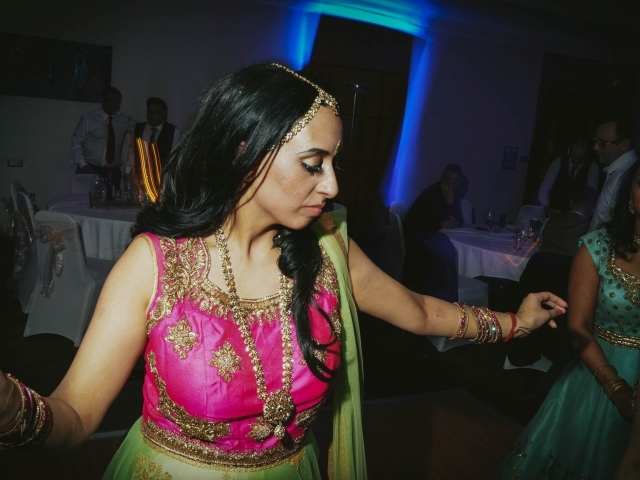 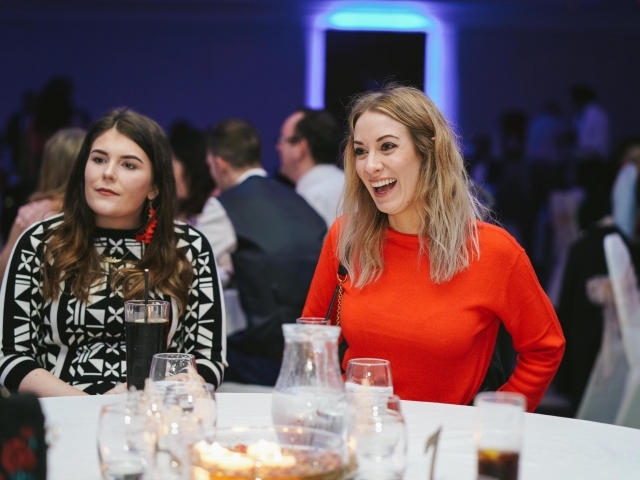 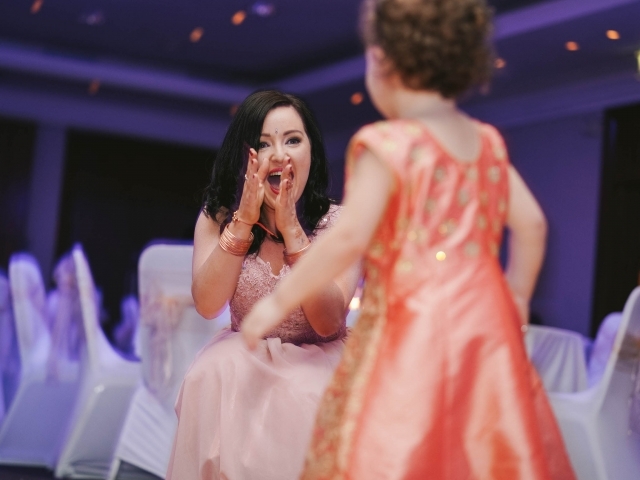 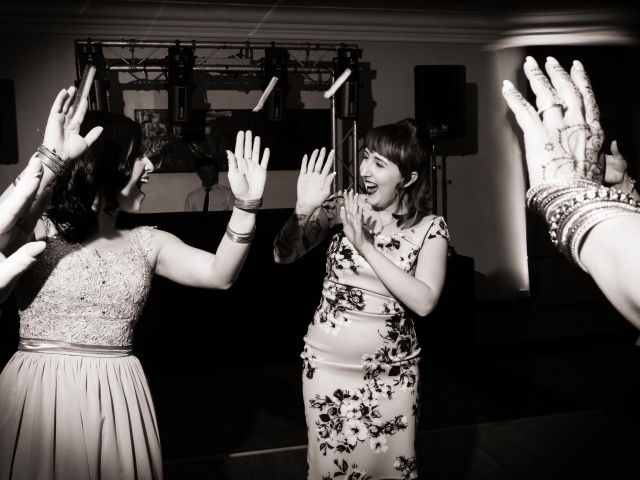 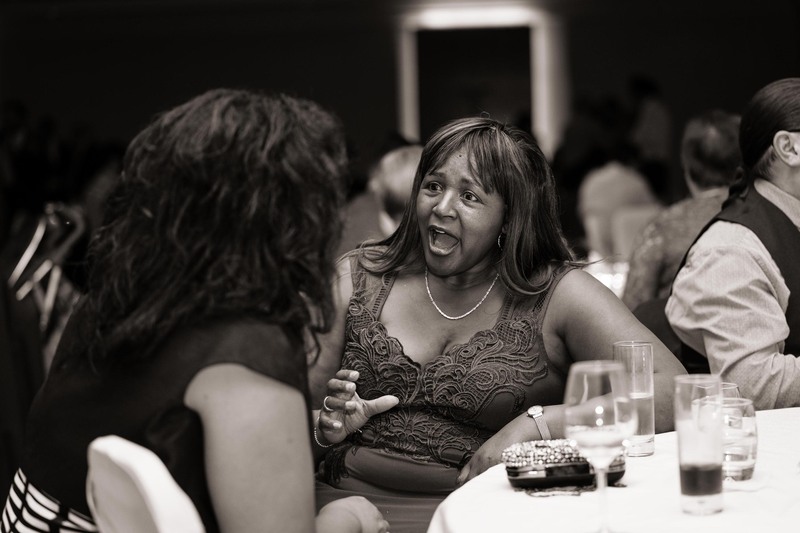 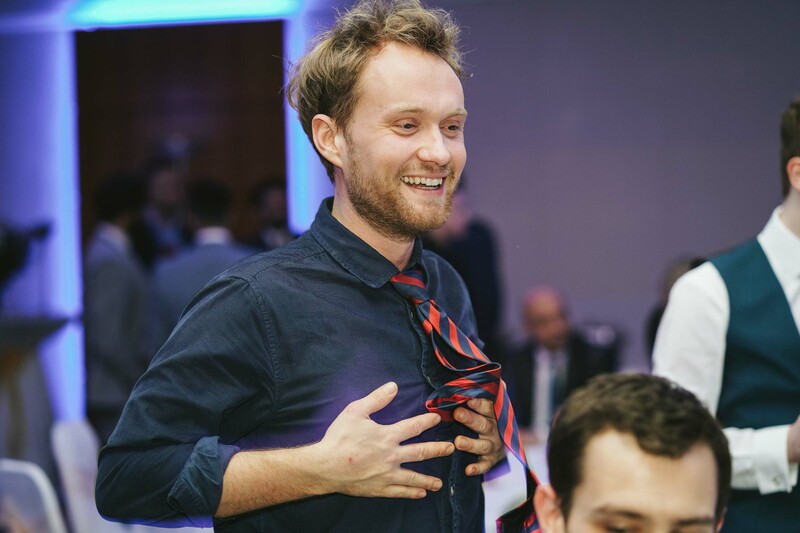 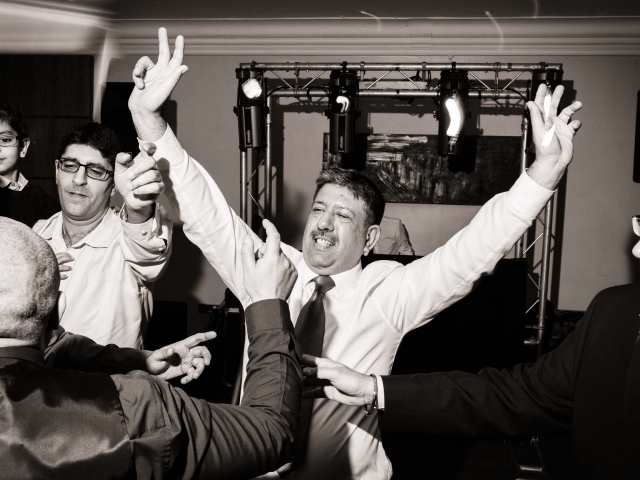 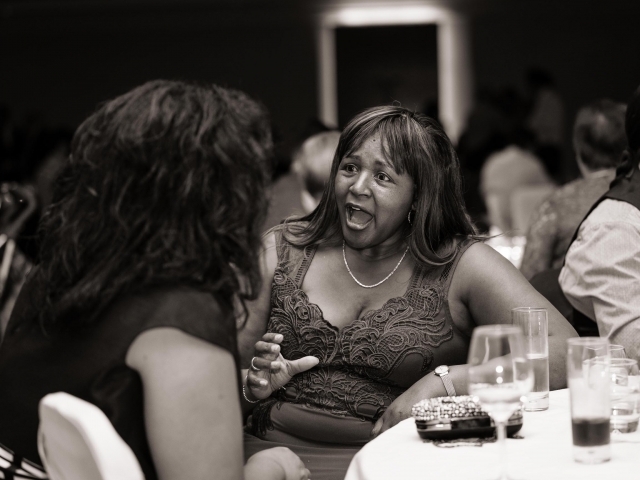 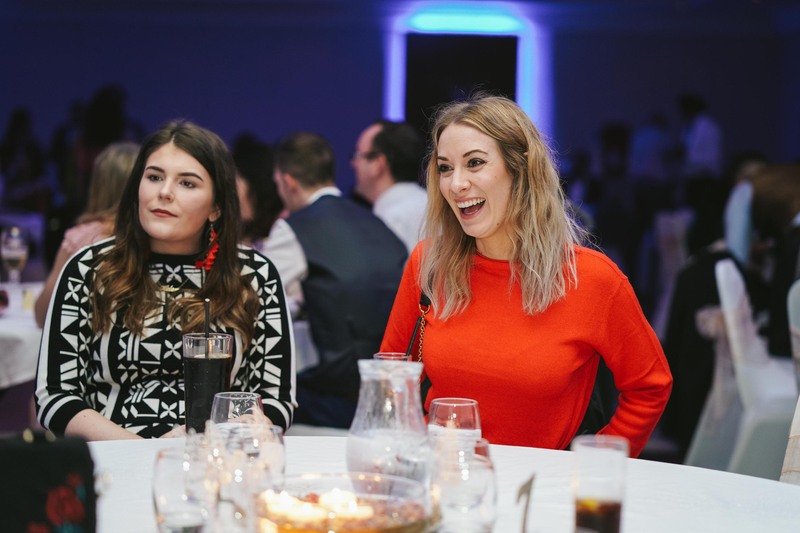 I knew that the evening and the disco were going to be great fun and it certainly was – it was great seeing so many people on the dancefloor busting some moves – I worked my way into the disco allowing everyone to get warmed up before I grabbed some disco images. 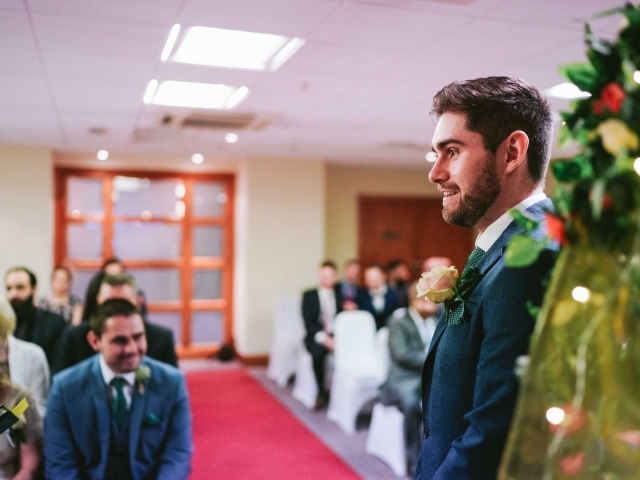 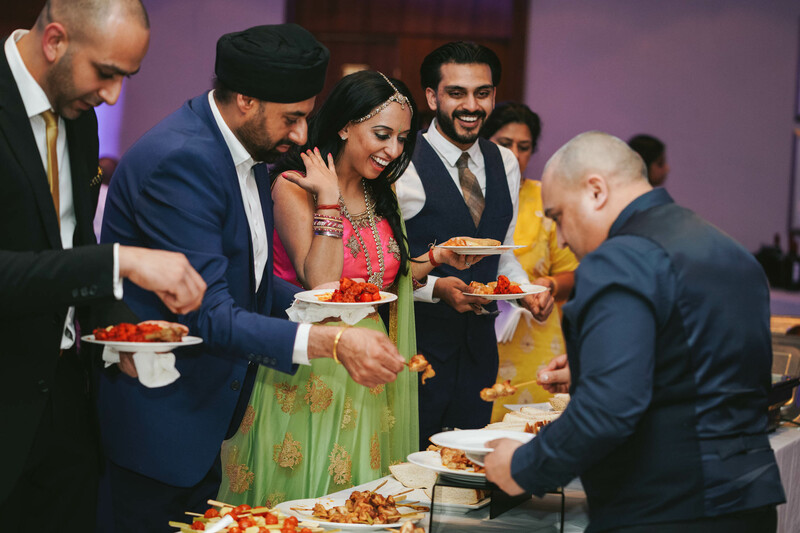 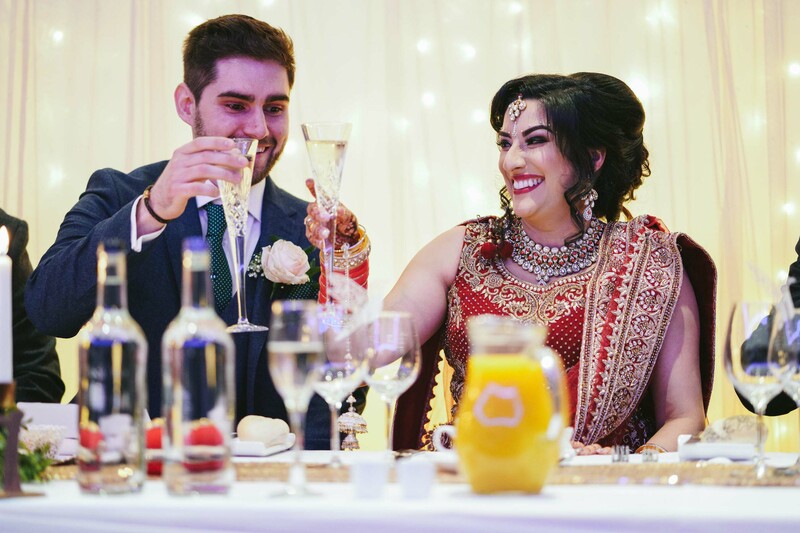 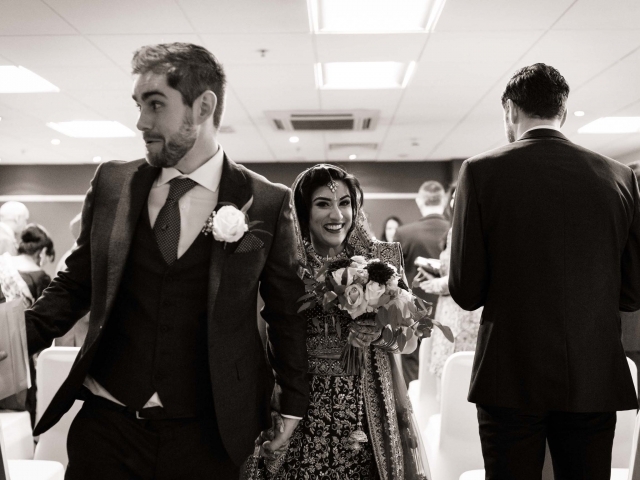 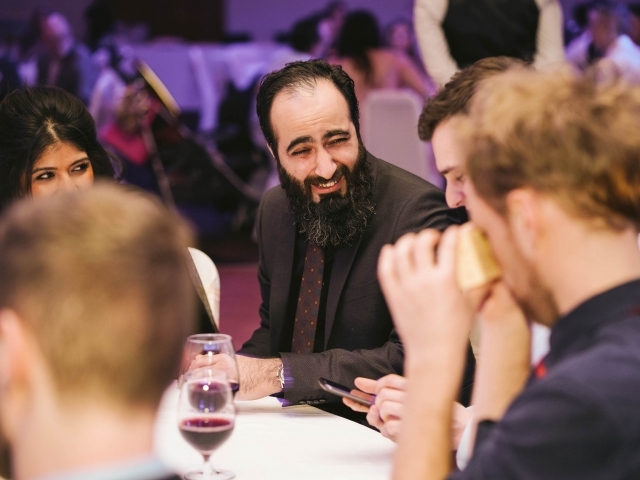 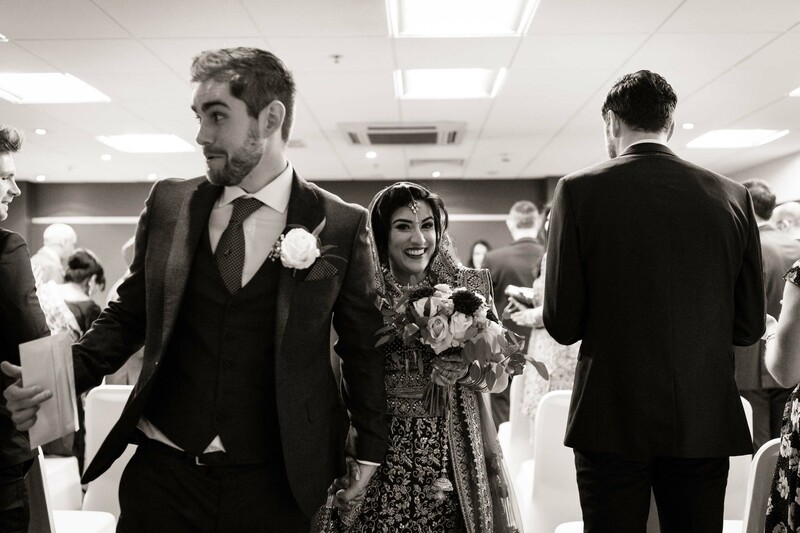 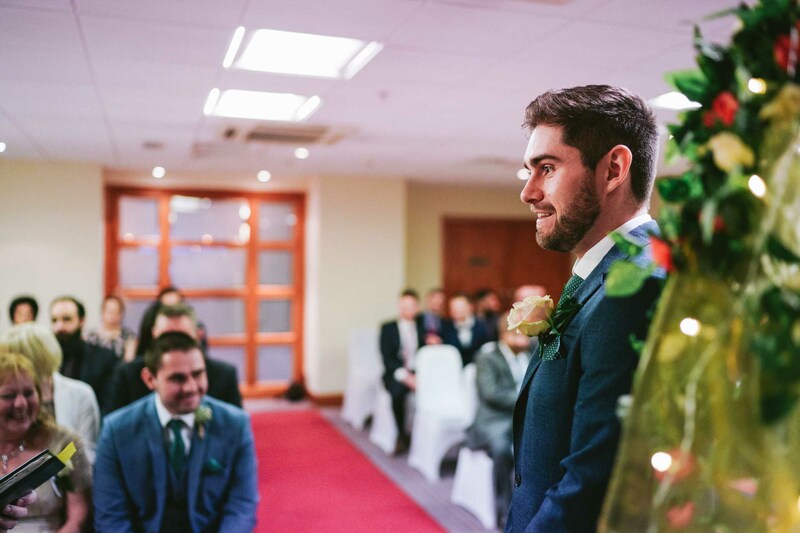 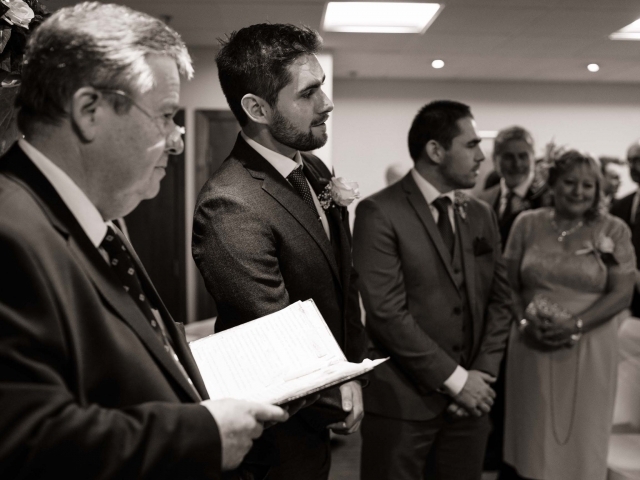 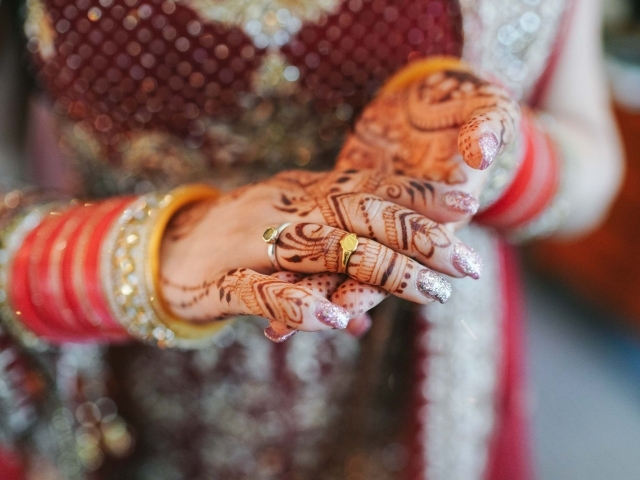 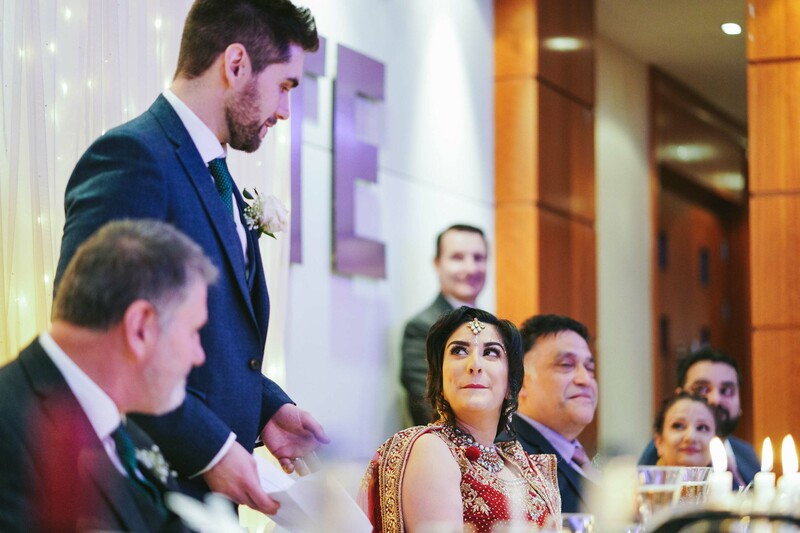 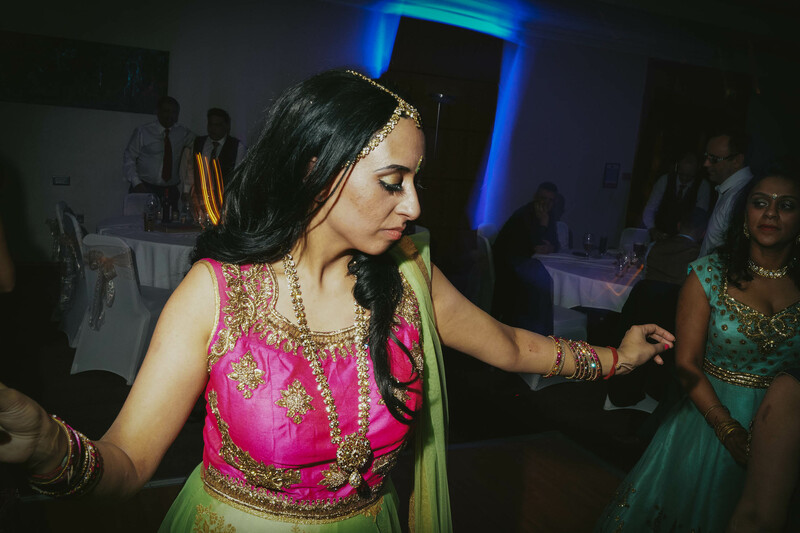 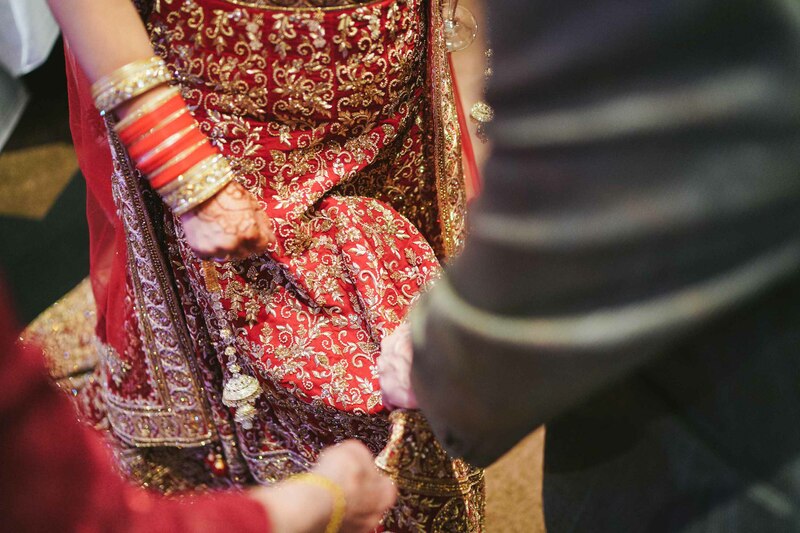 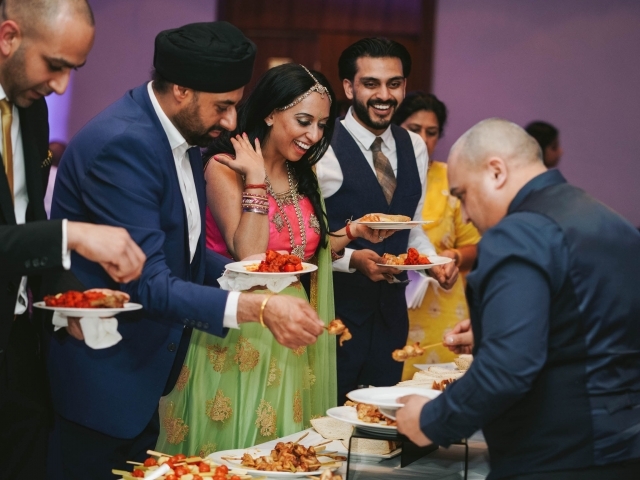 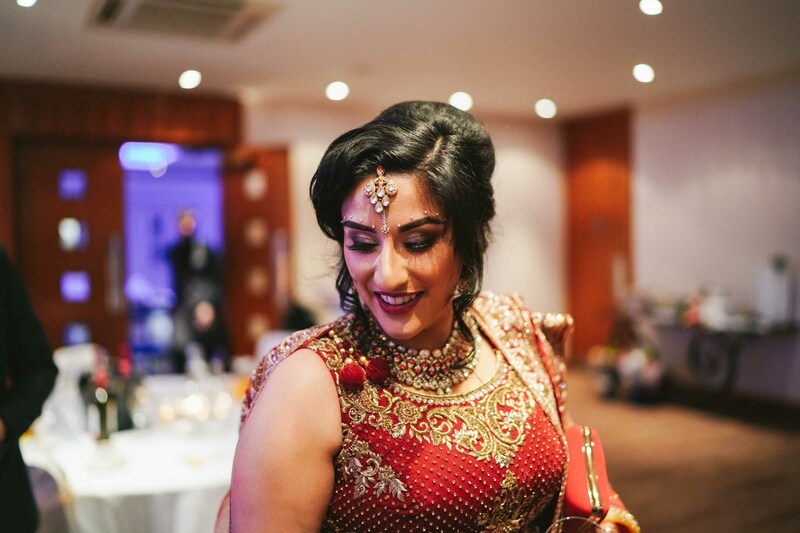 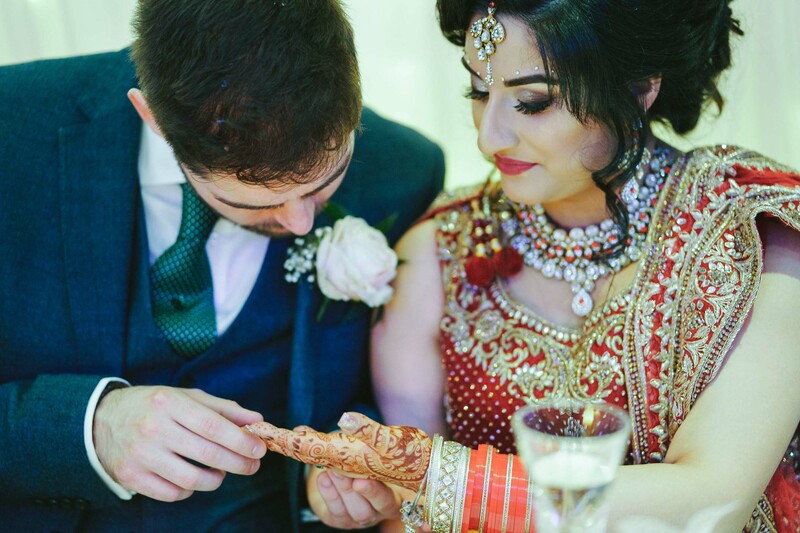 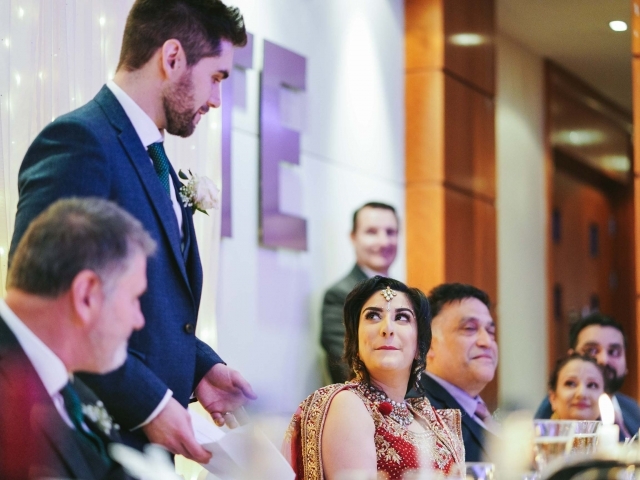 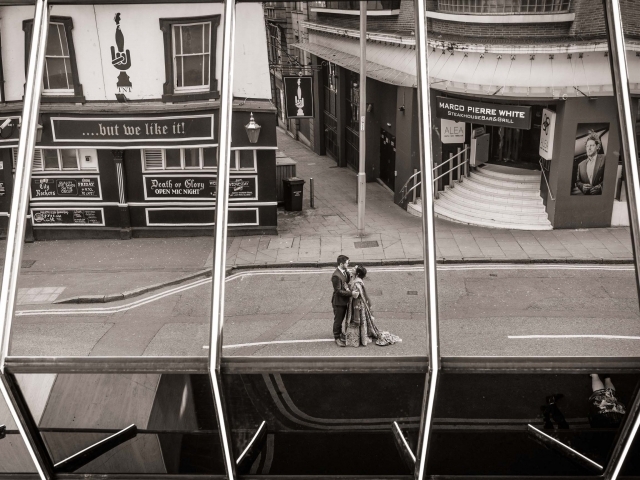 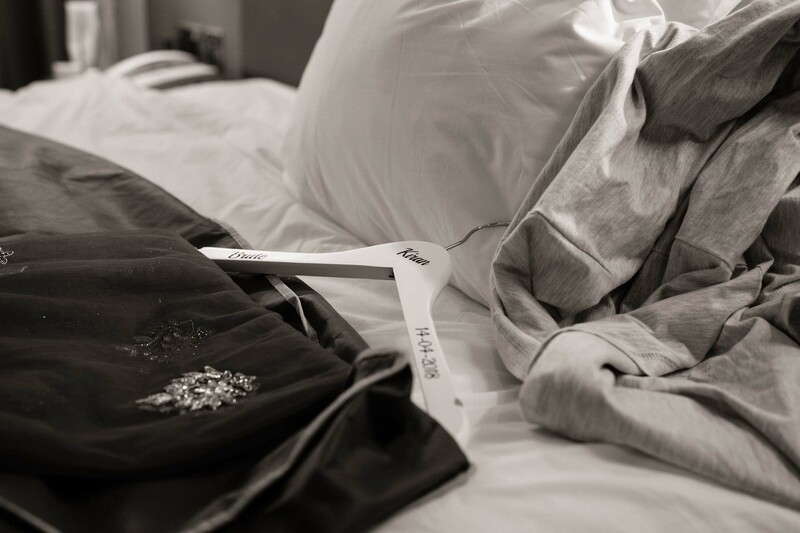 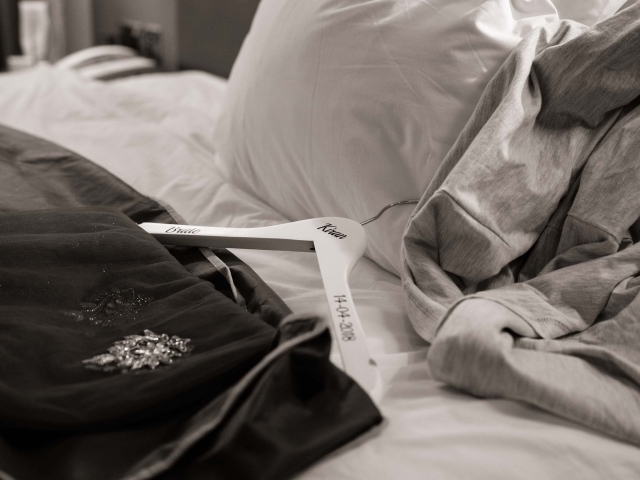 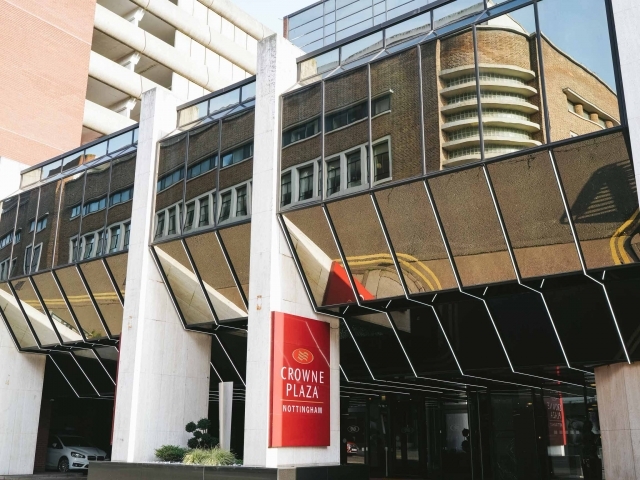 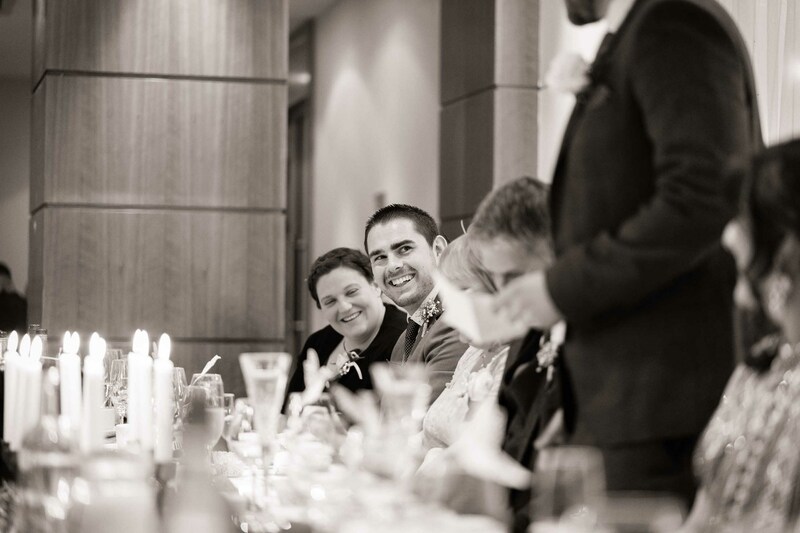 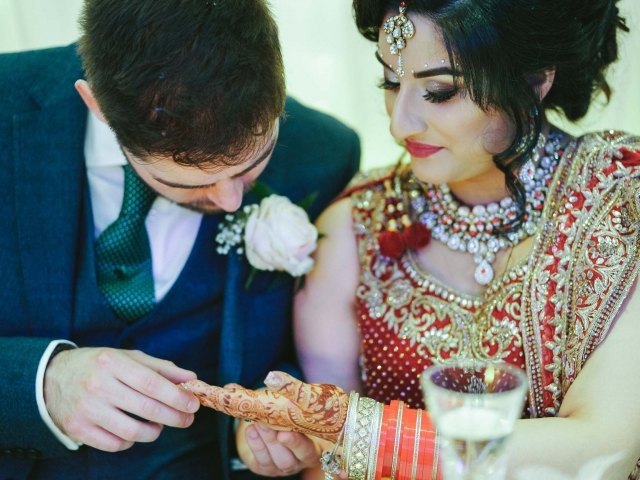 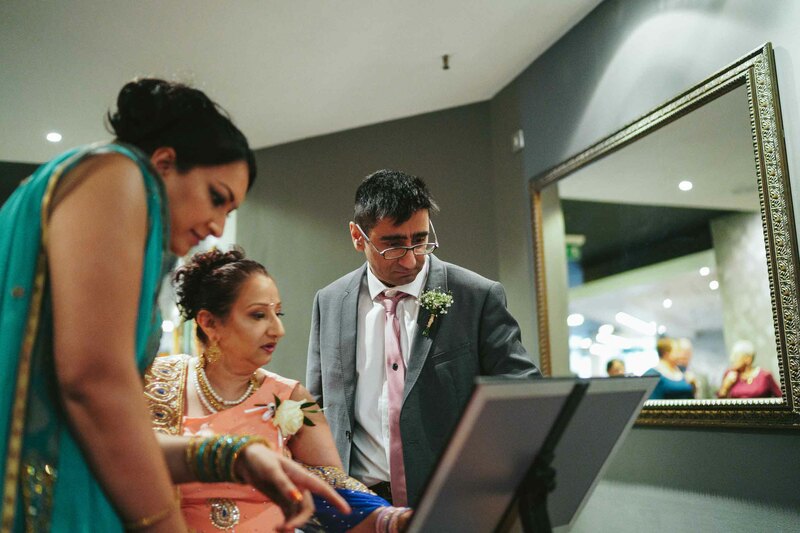 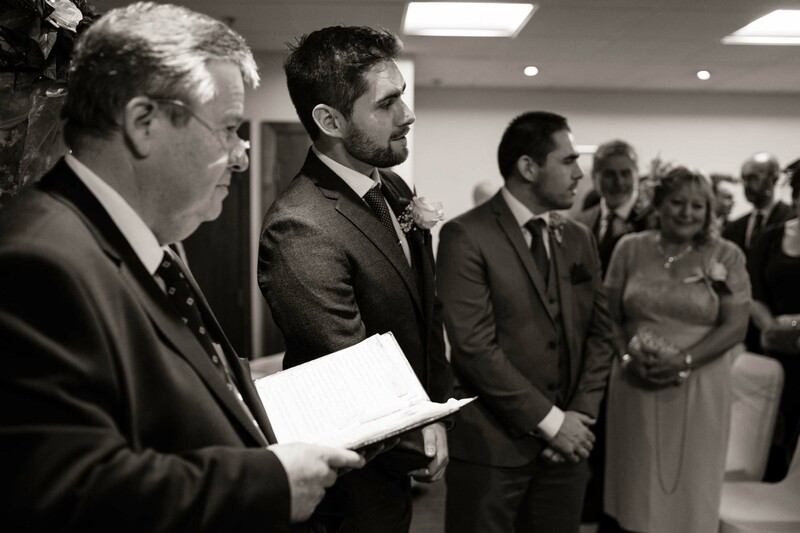 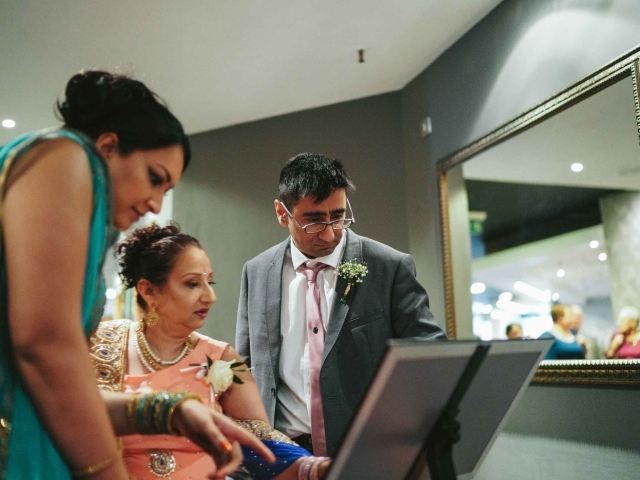 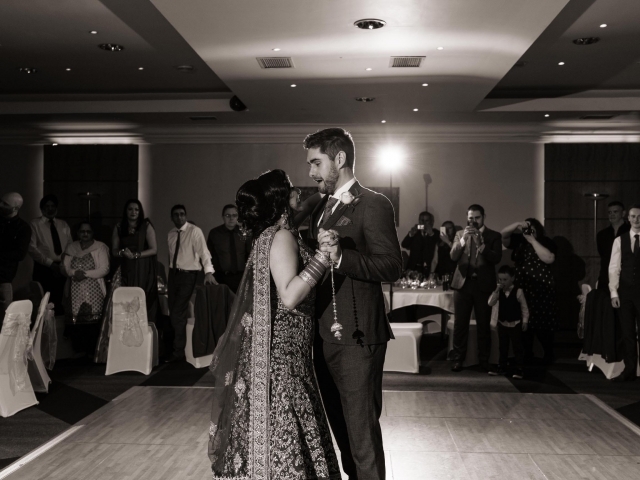 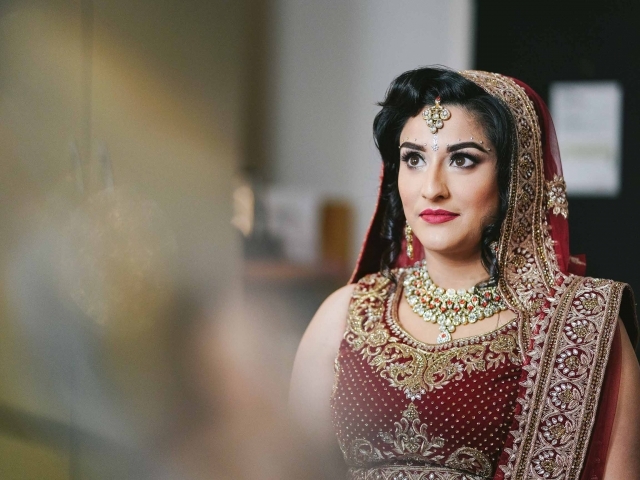 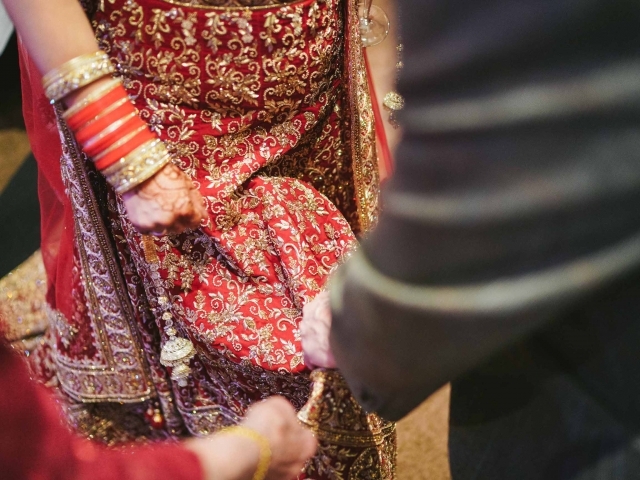 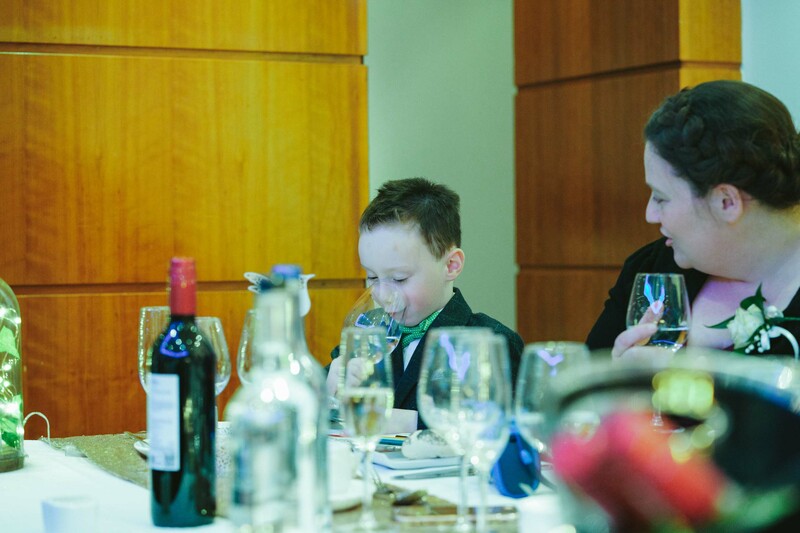 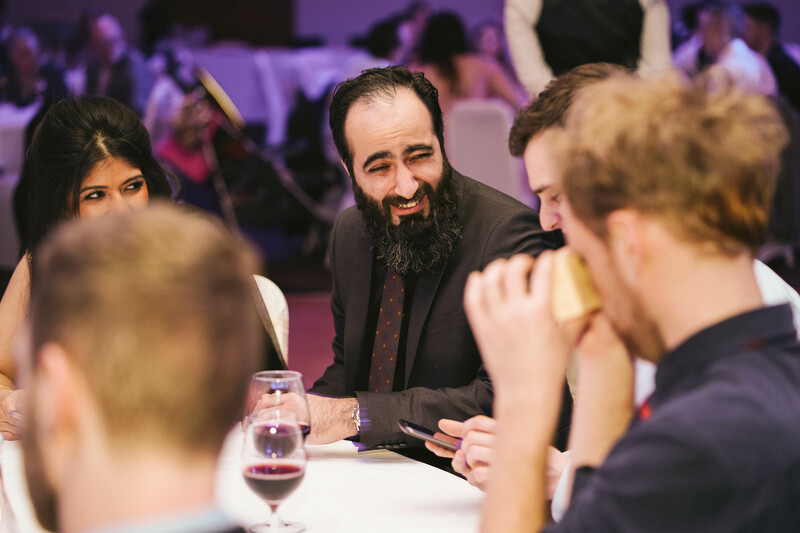 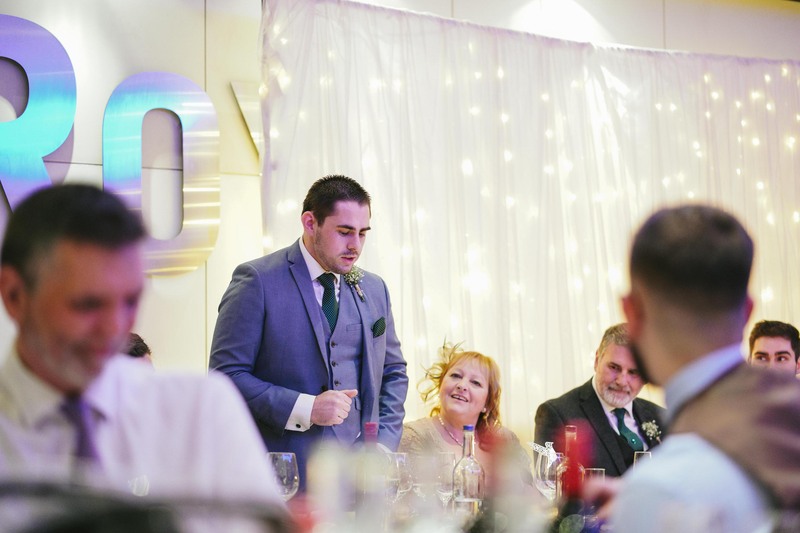 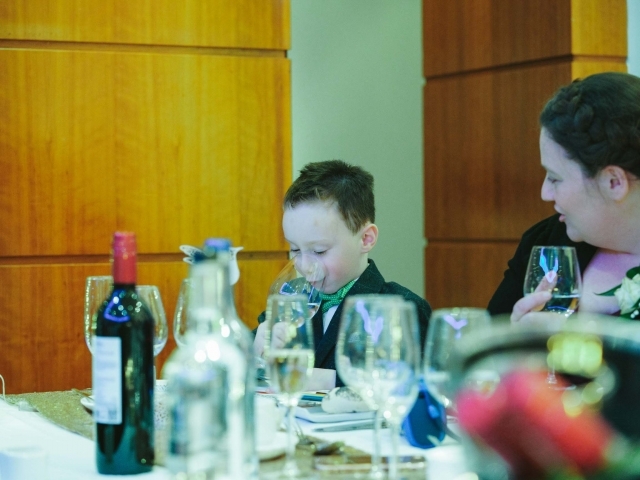 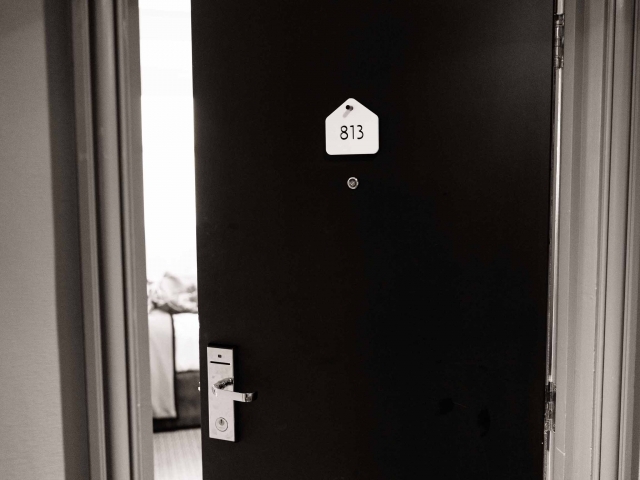 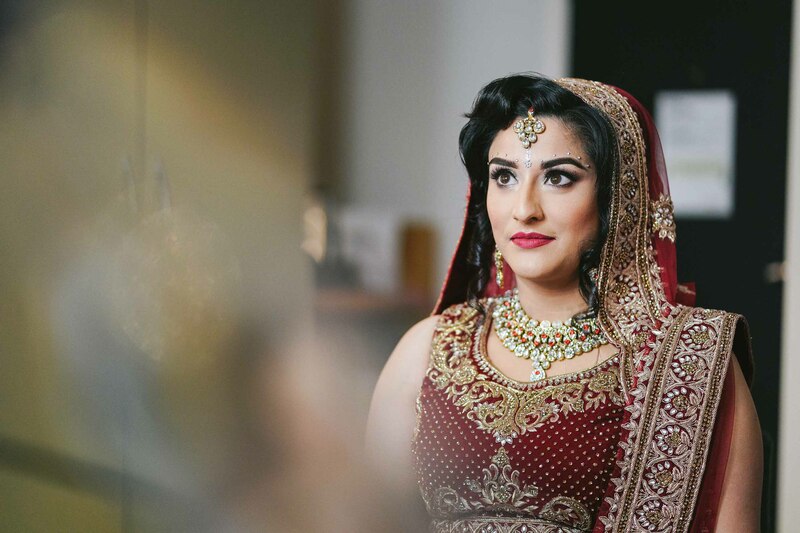 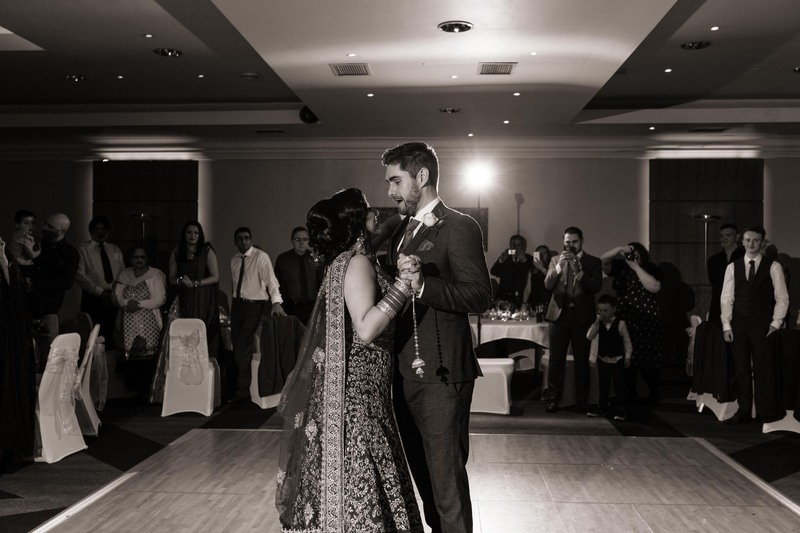 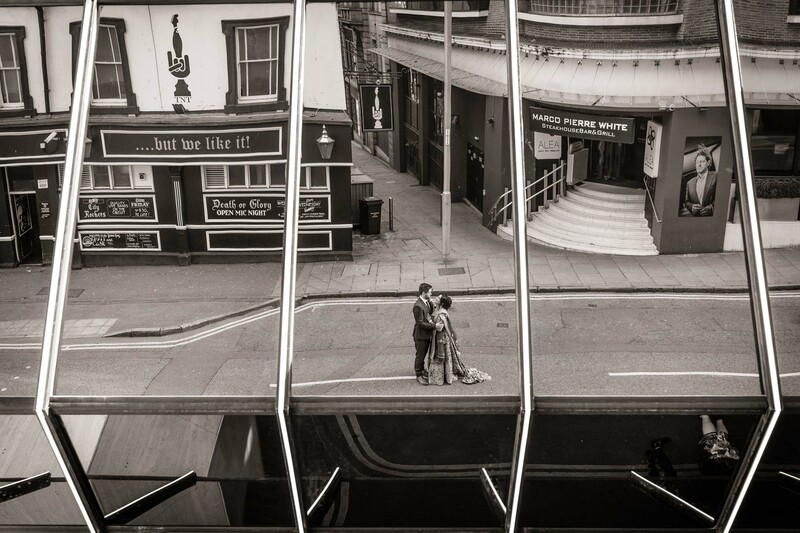 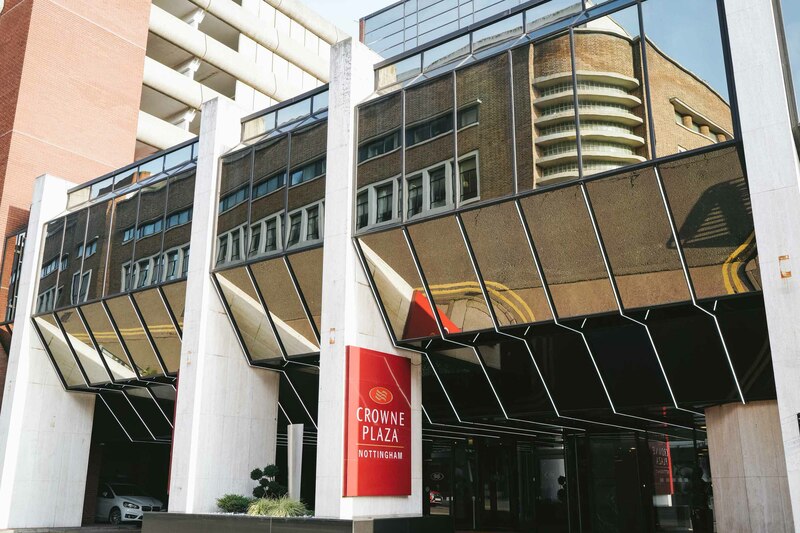 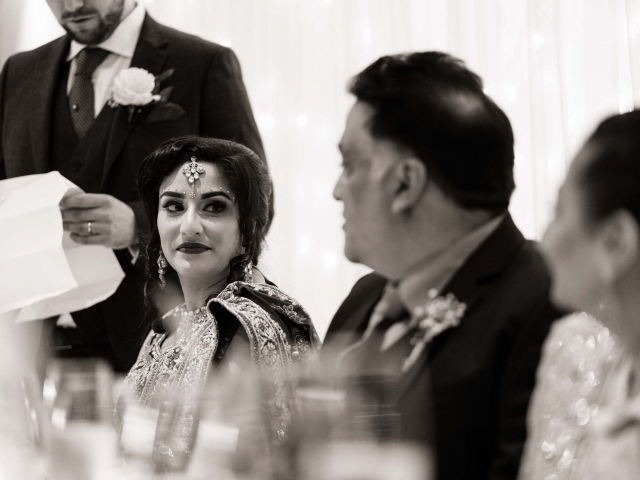 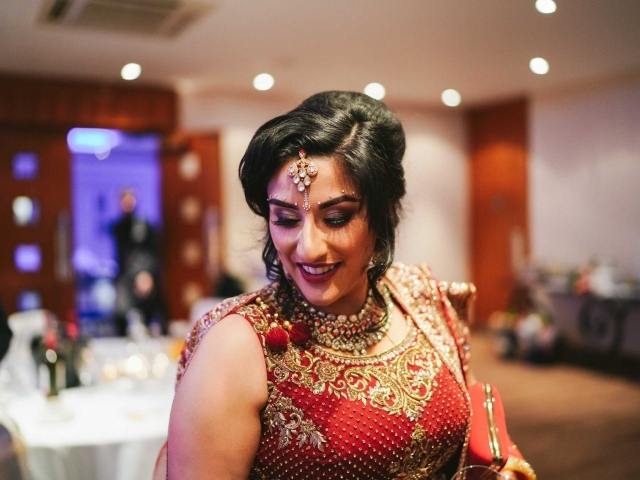 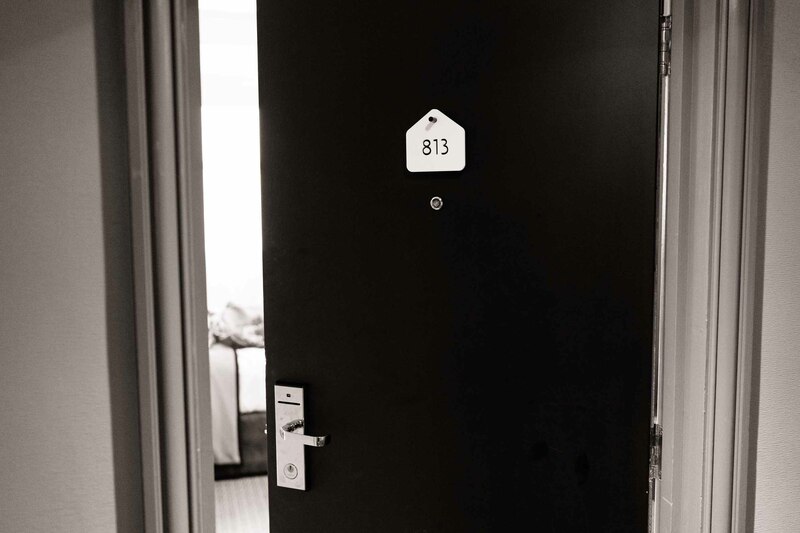 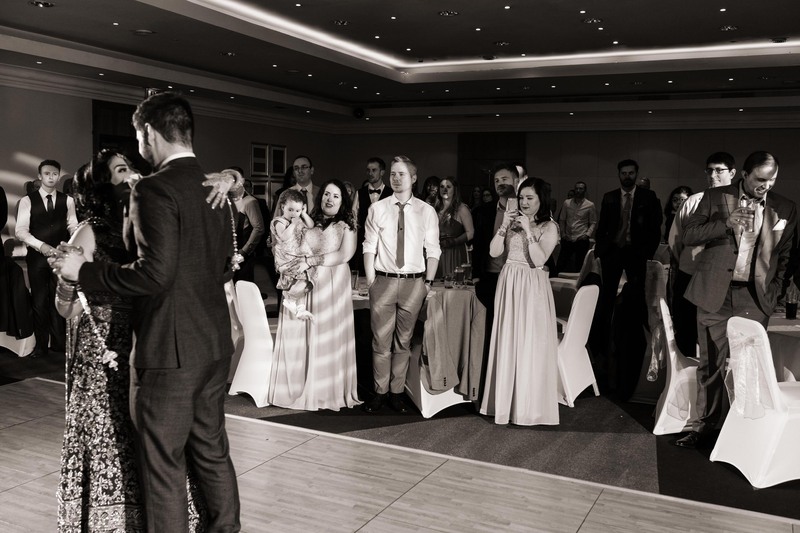 It was my first time shooting a wedding at the Crowne Plaza and I was genuinely impressed with the wedding team at the hotel – they were great and were there all day looking after Kiran and James and making sure that everything was right and that Kiran and James could just enjoy their day. 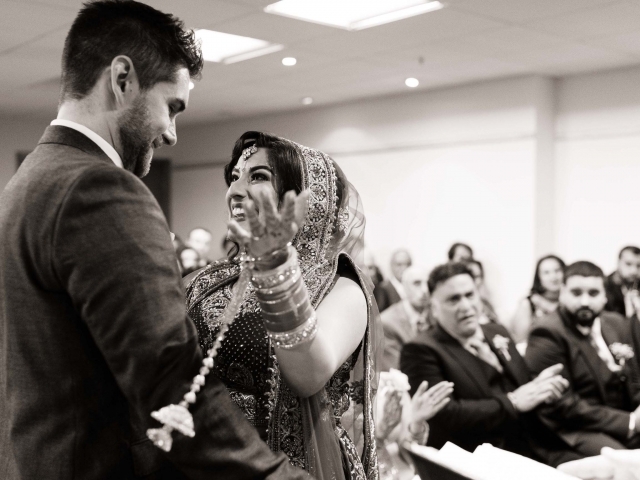 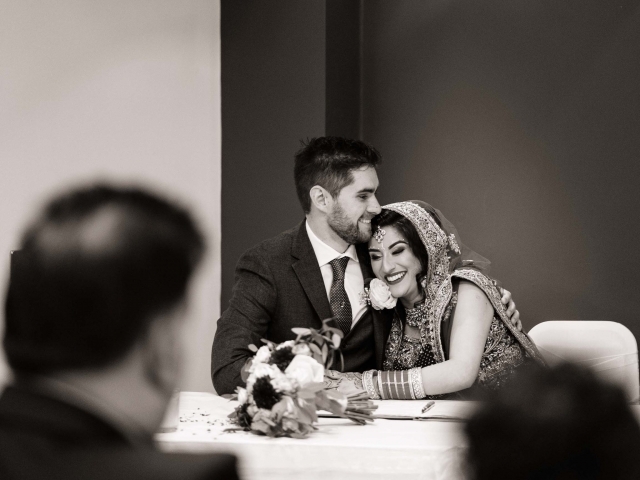 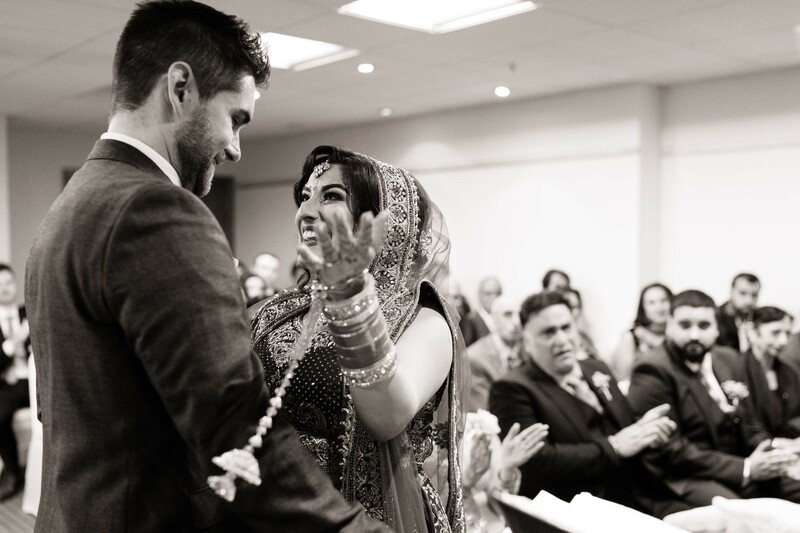 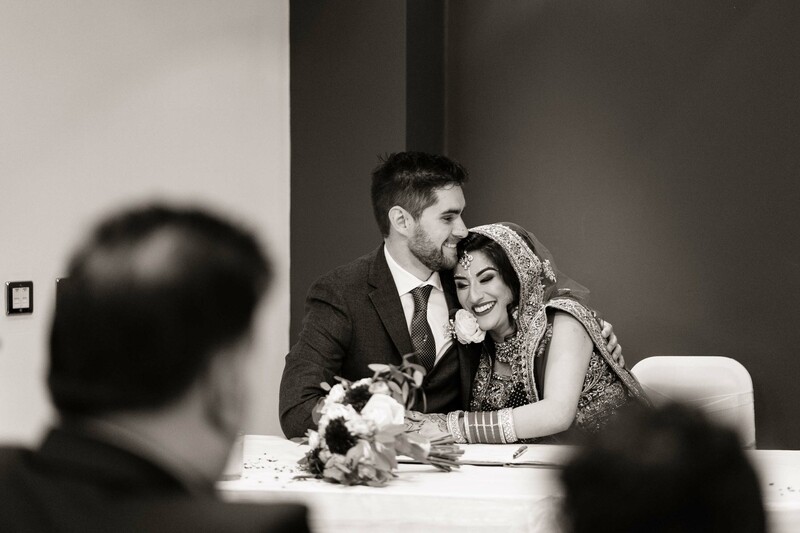 Kiran and James are a great couple and I hope they enjoy the images we managed to get.